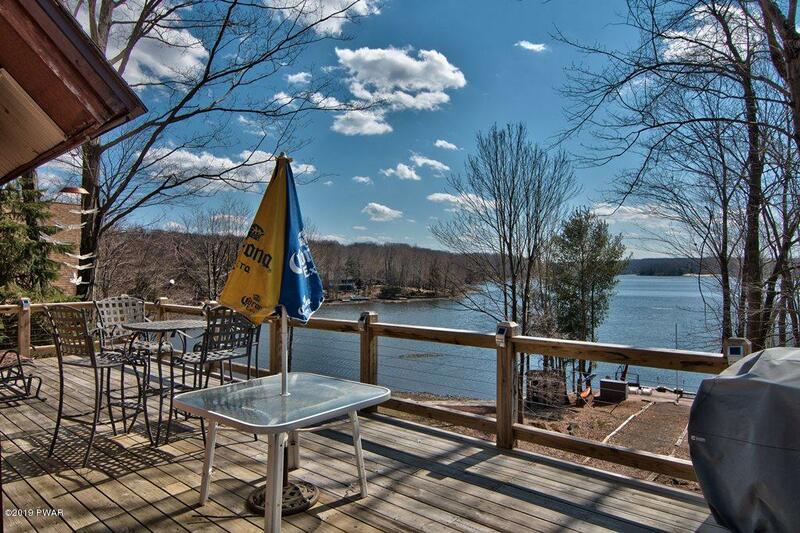 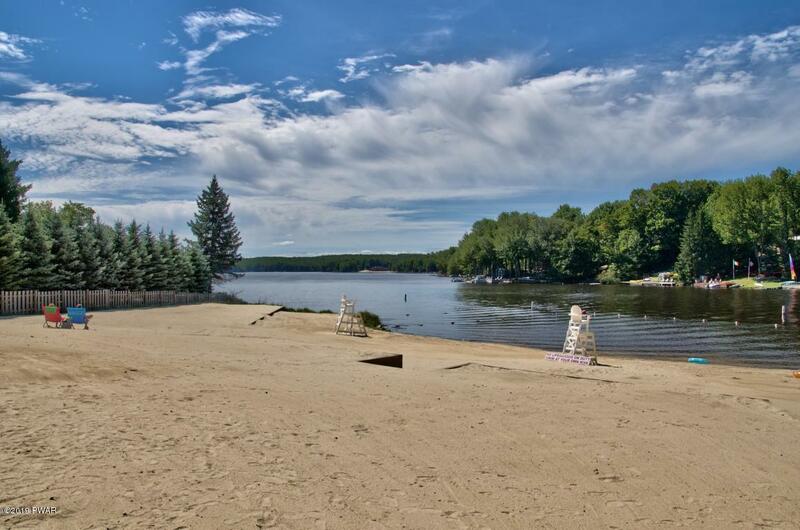 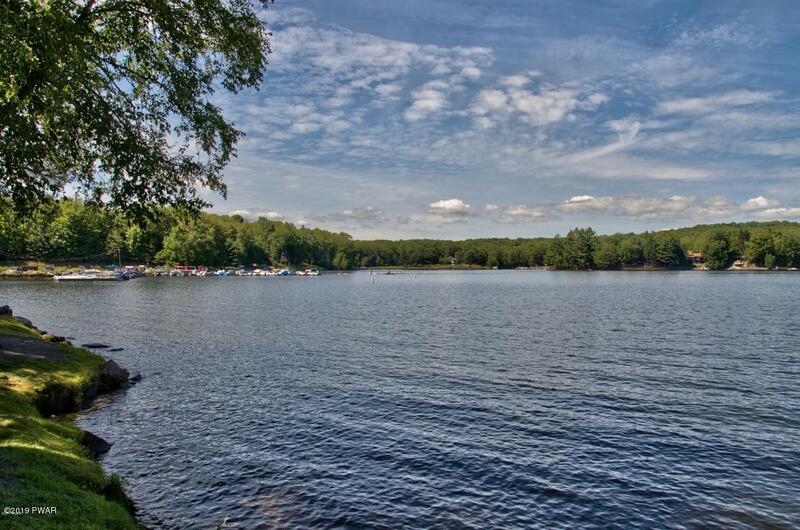 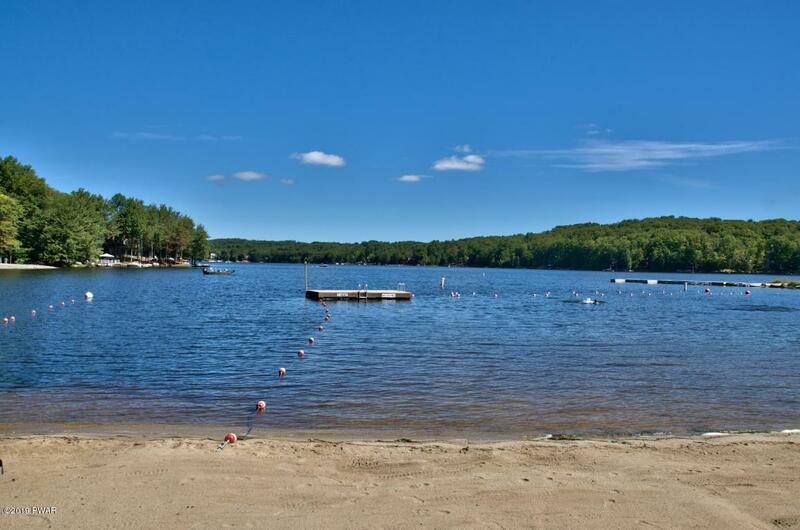 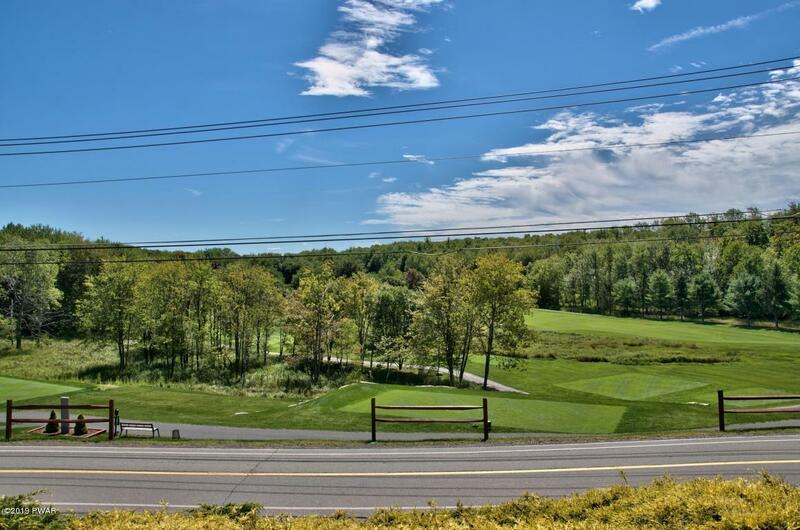 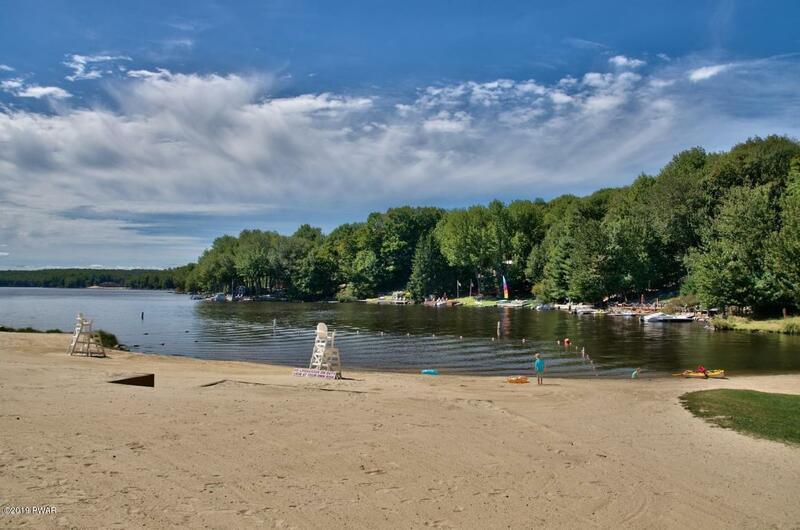 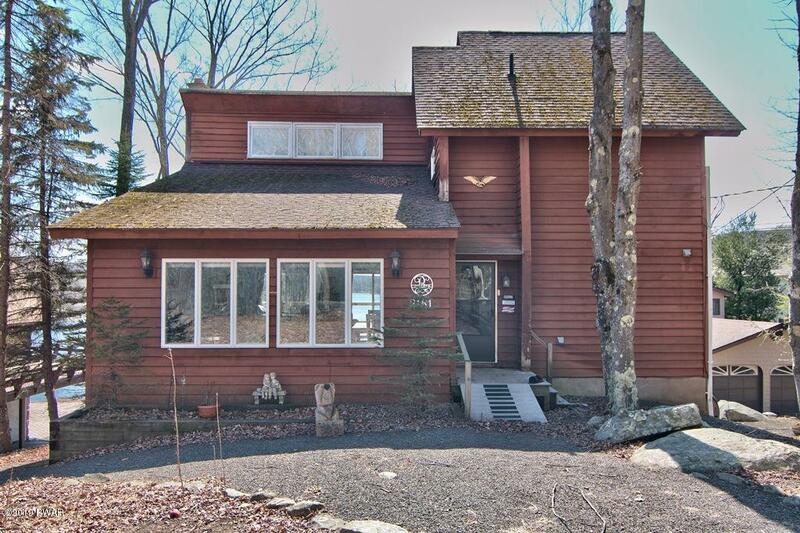 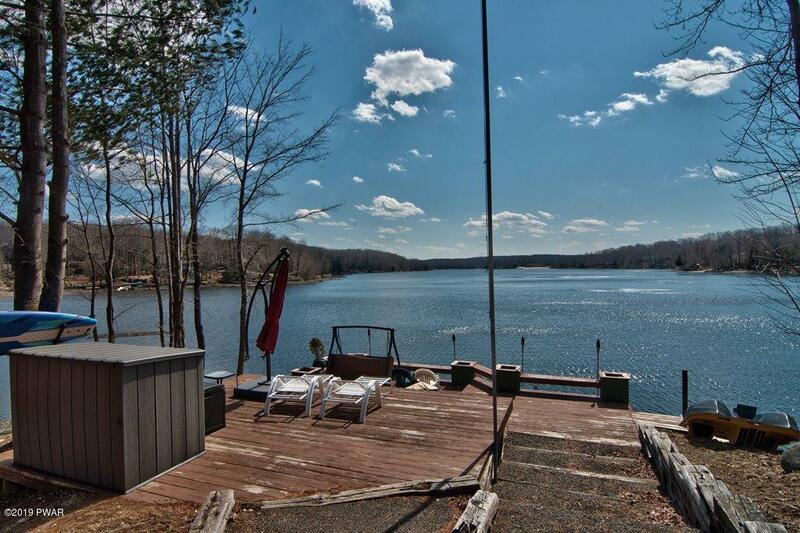 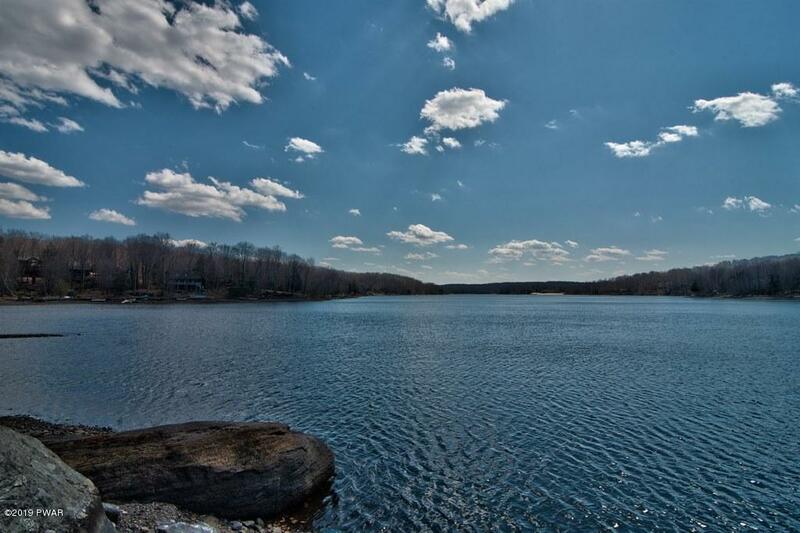 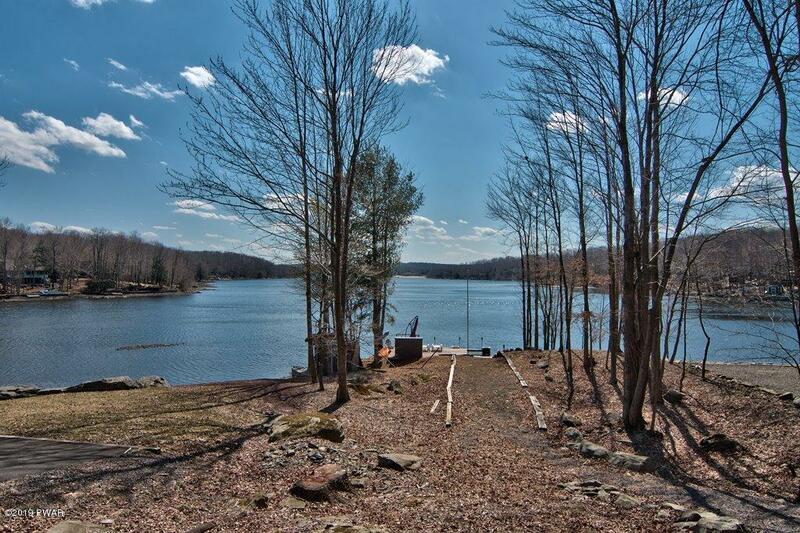 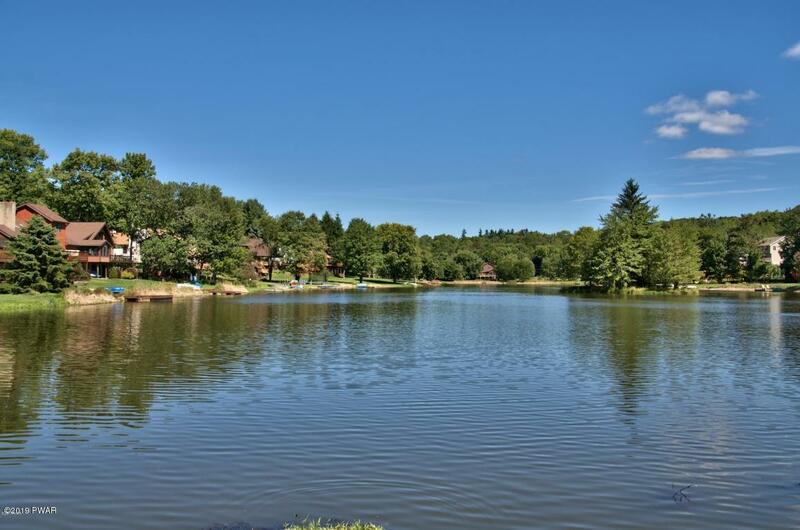 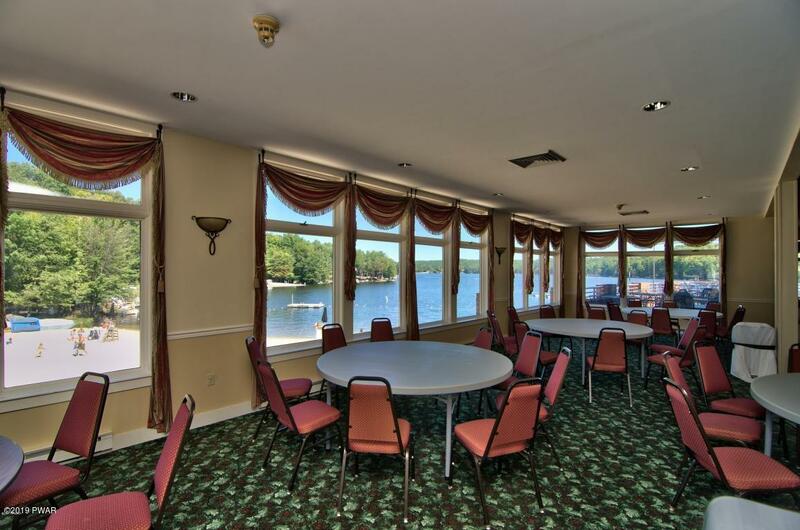 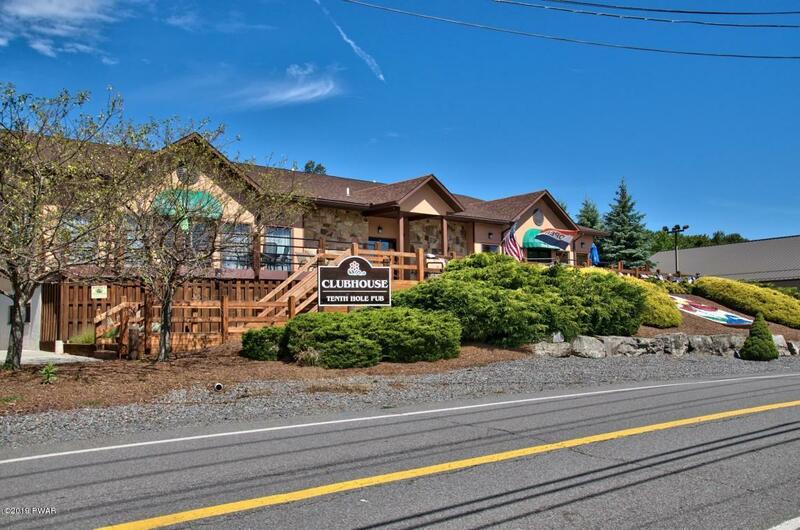 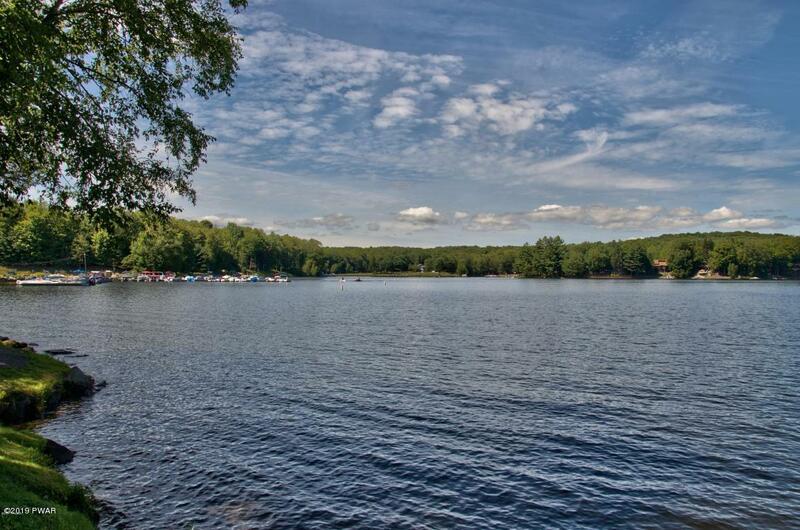 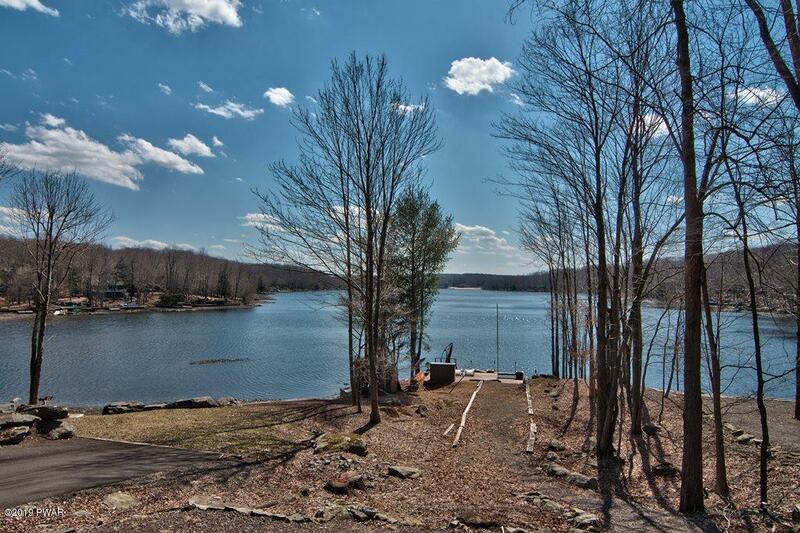 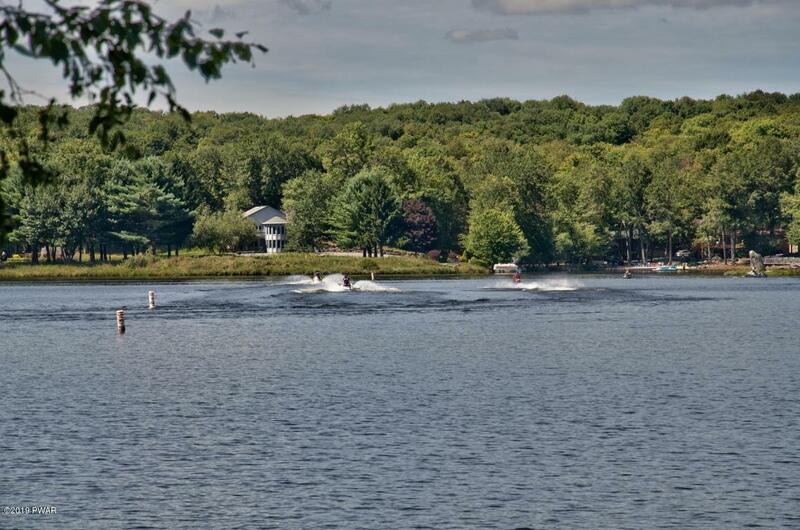 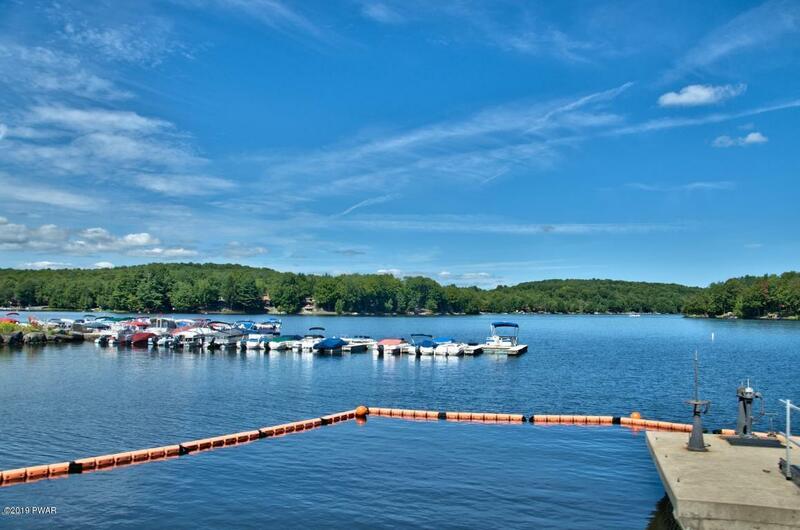 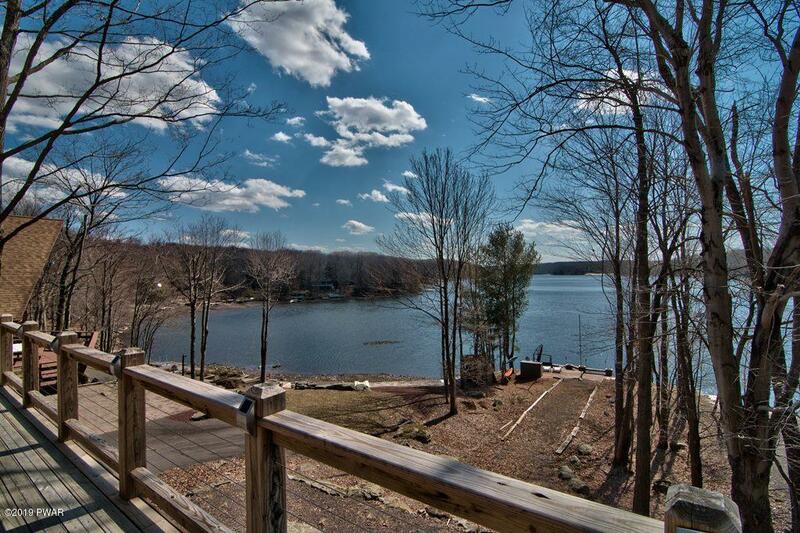 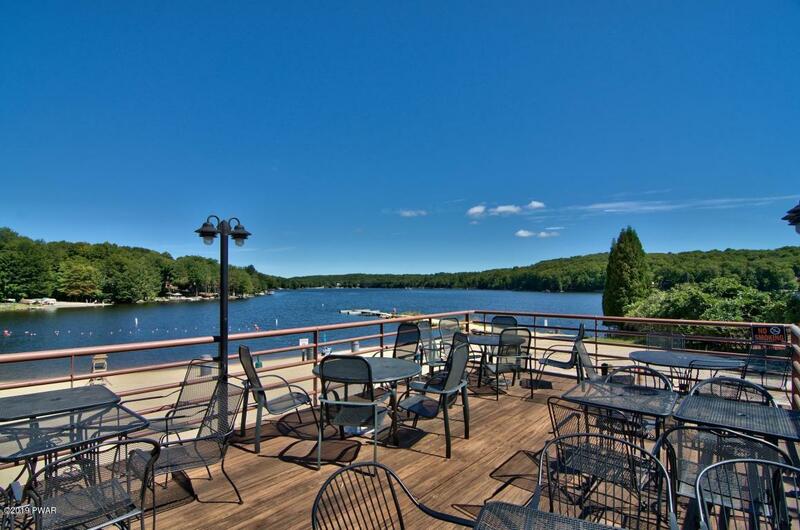 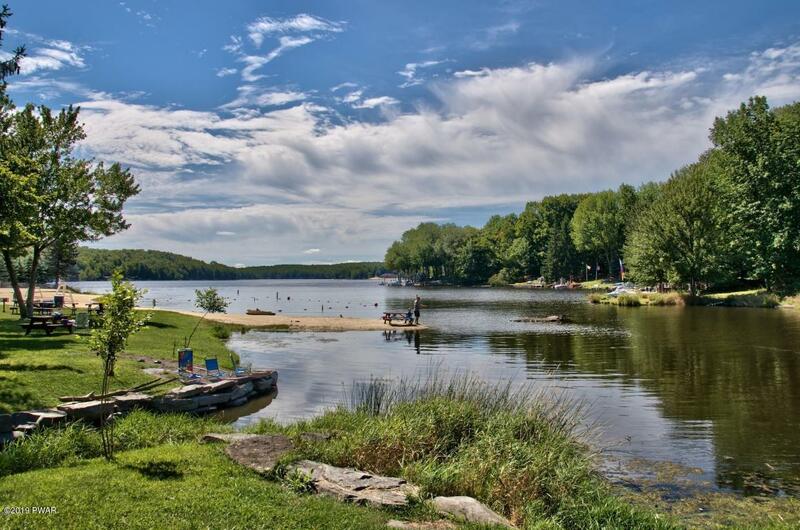 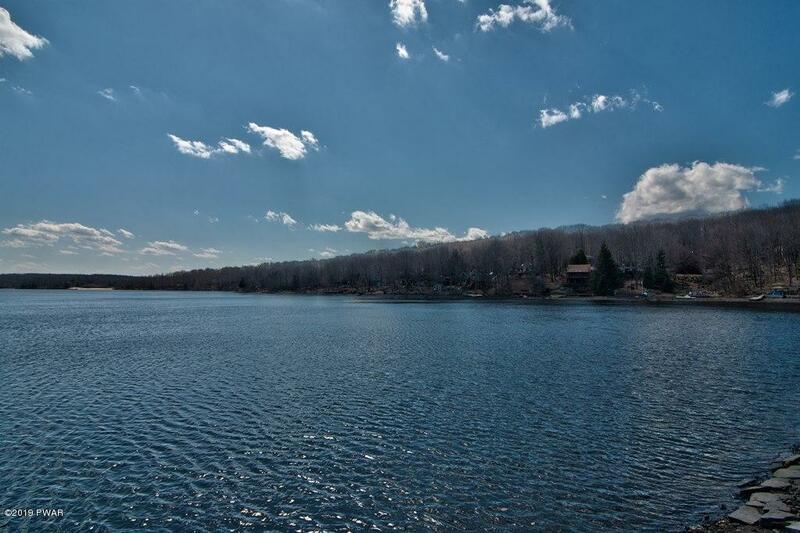 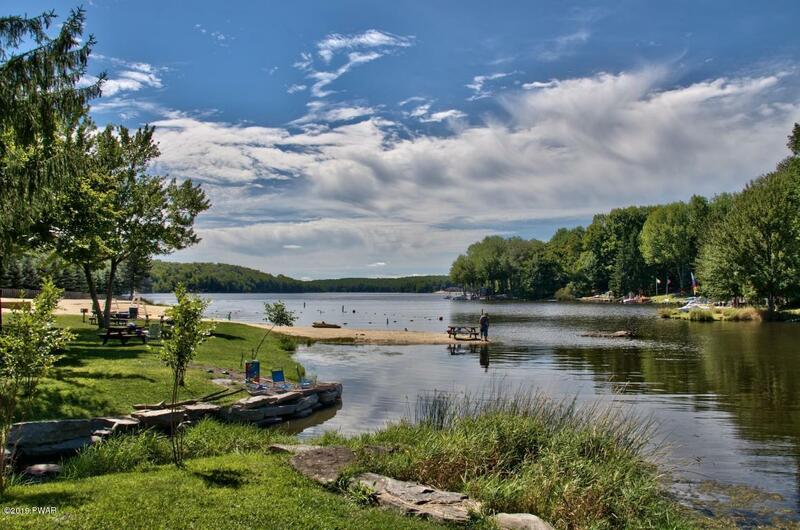 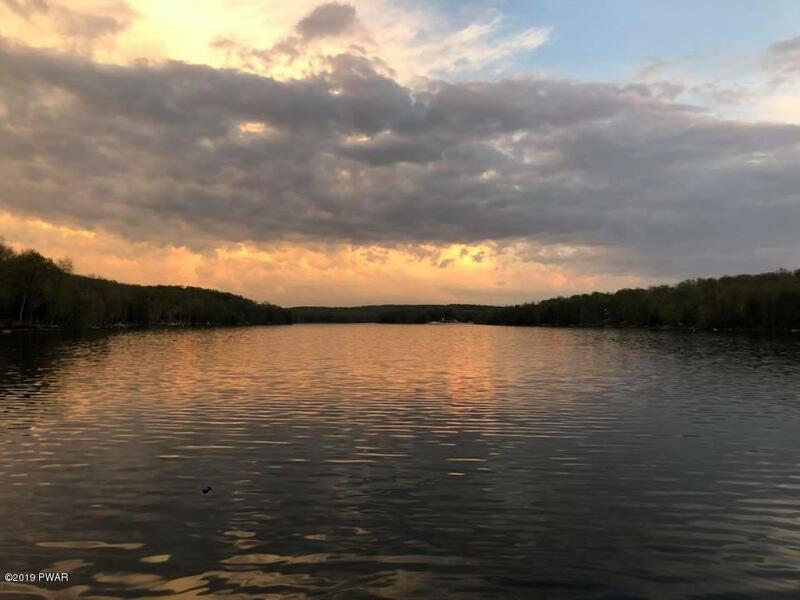 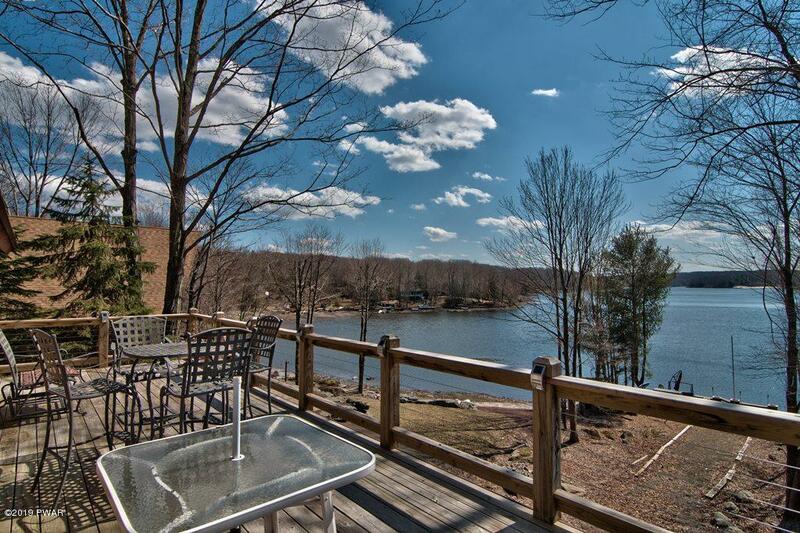 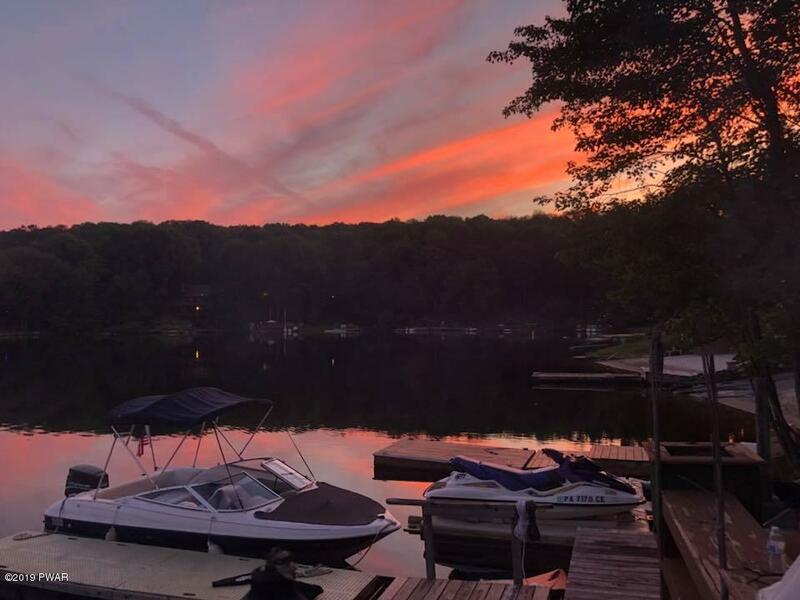 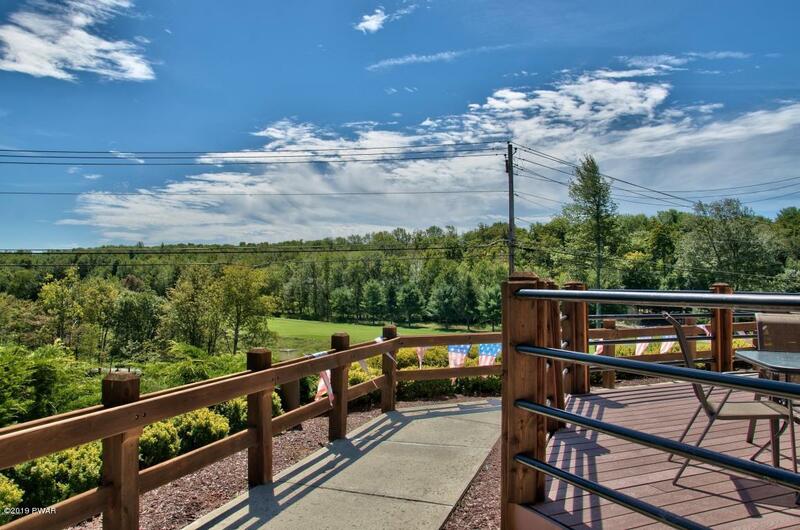 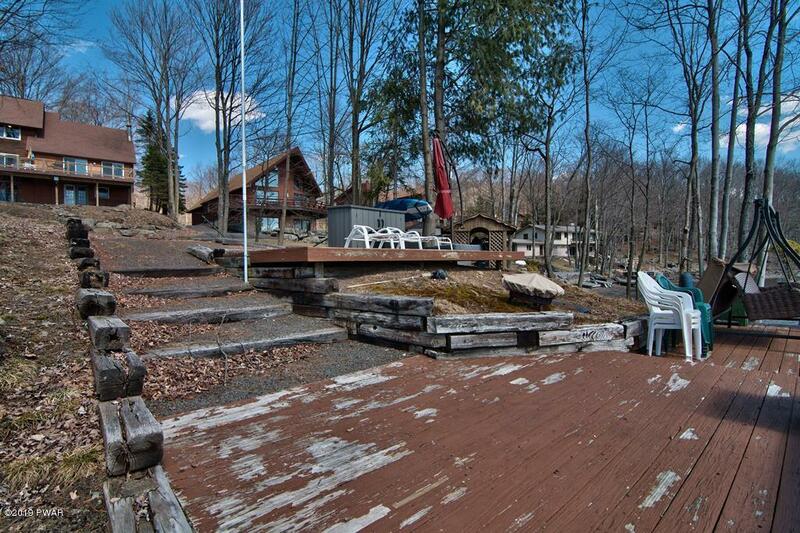 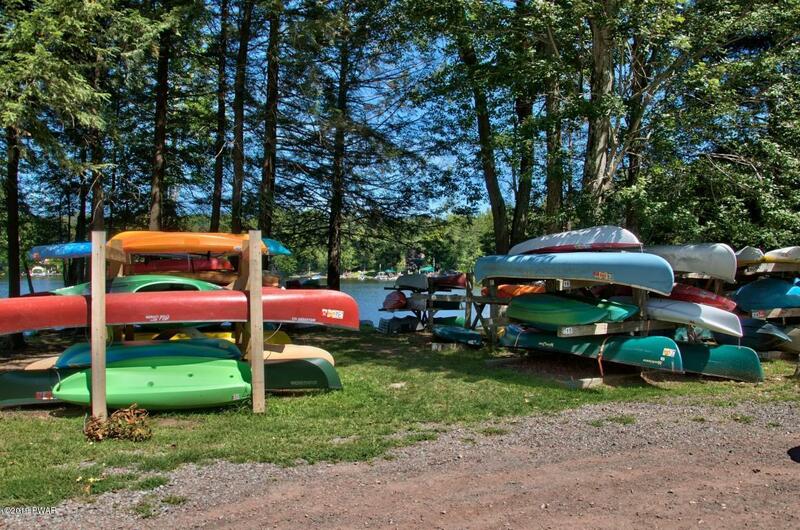 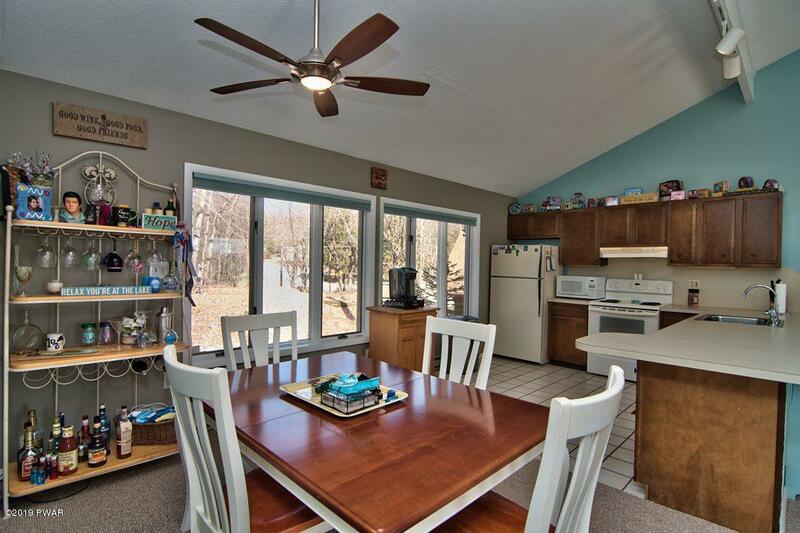 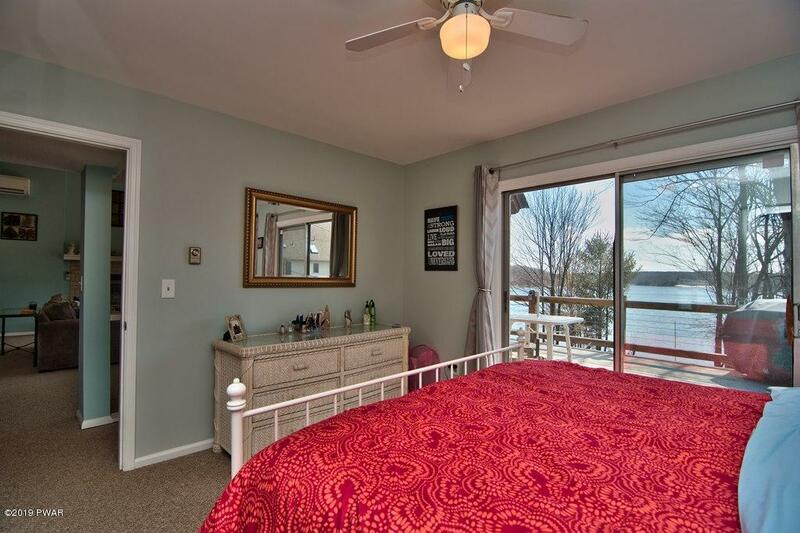 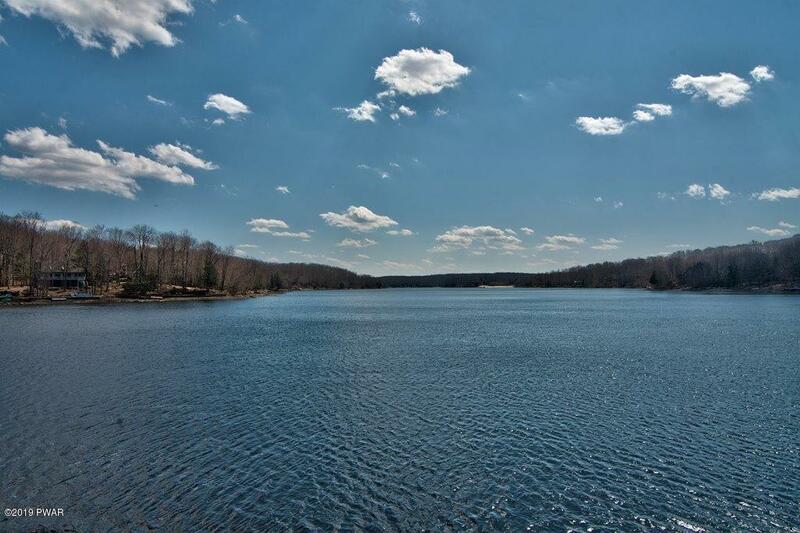 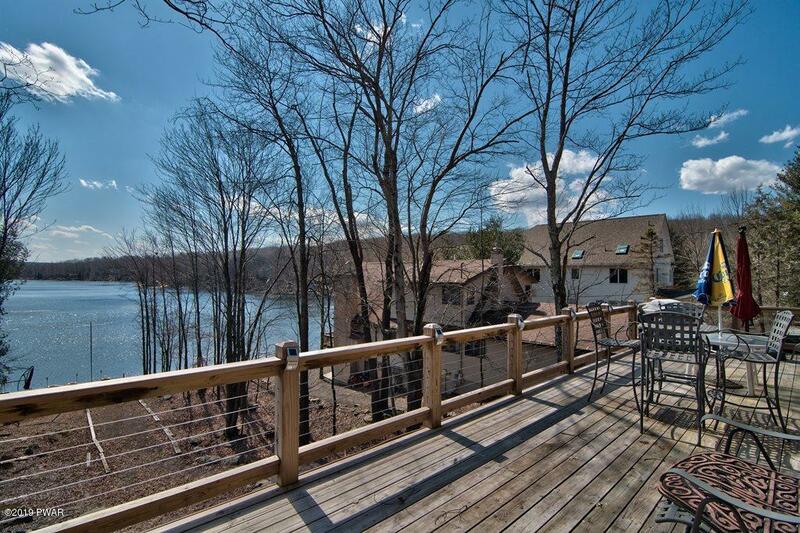 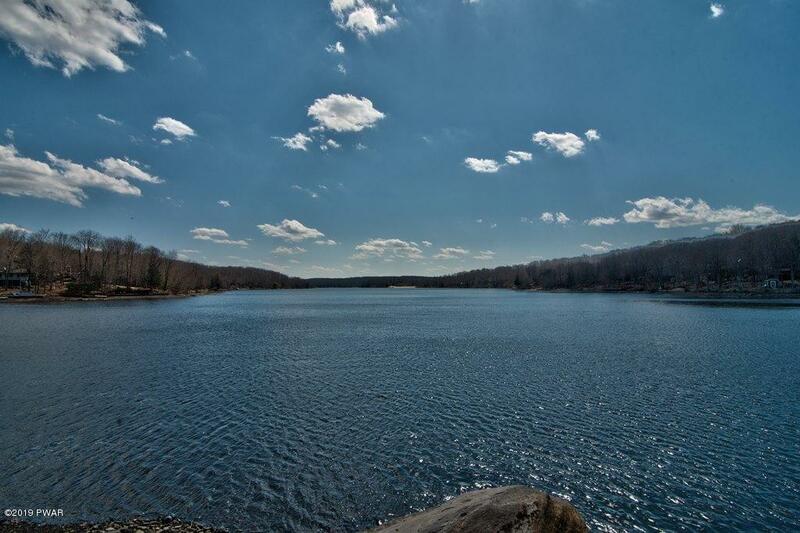 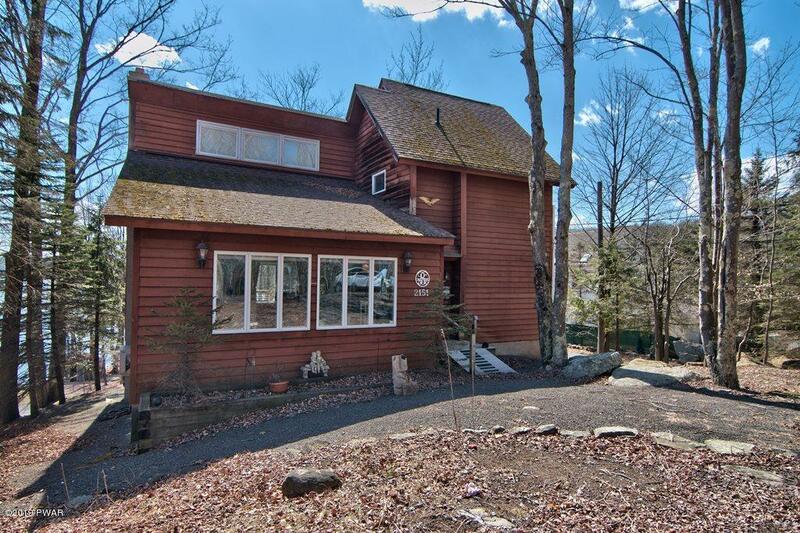 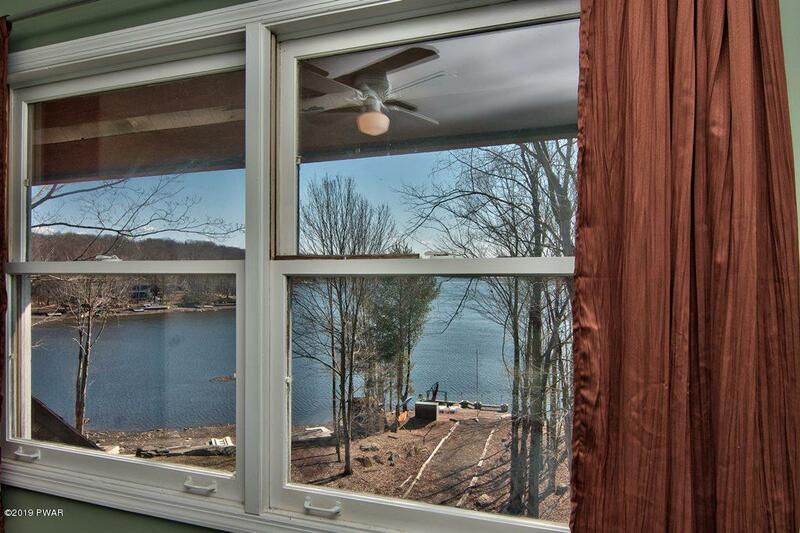 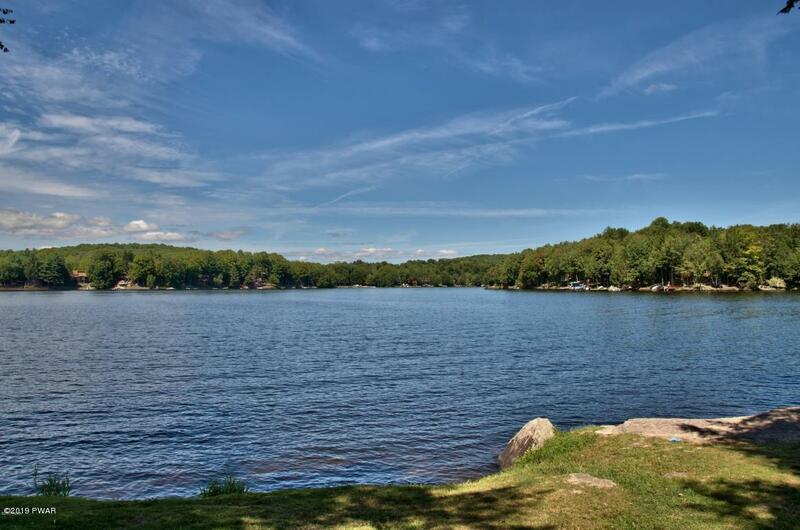 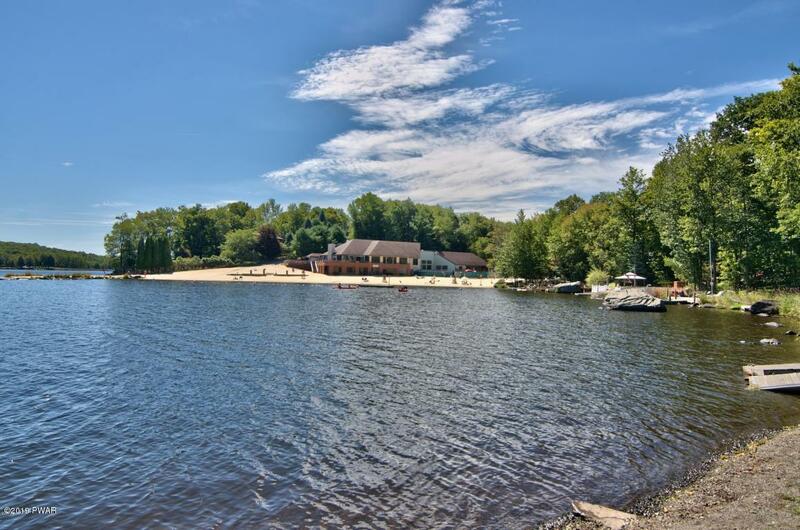 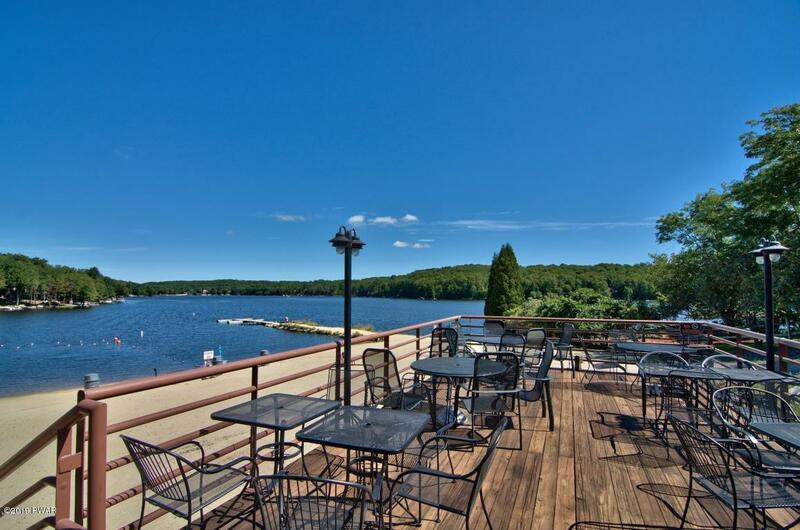 Lakefront home with Gorgeous Views of the longest part of the Roamingwood Lake, a powerboating lake located in a four season amenity filled community in the Northern Poconos. 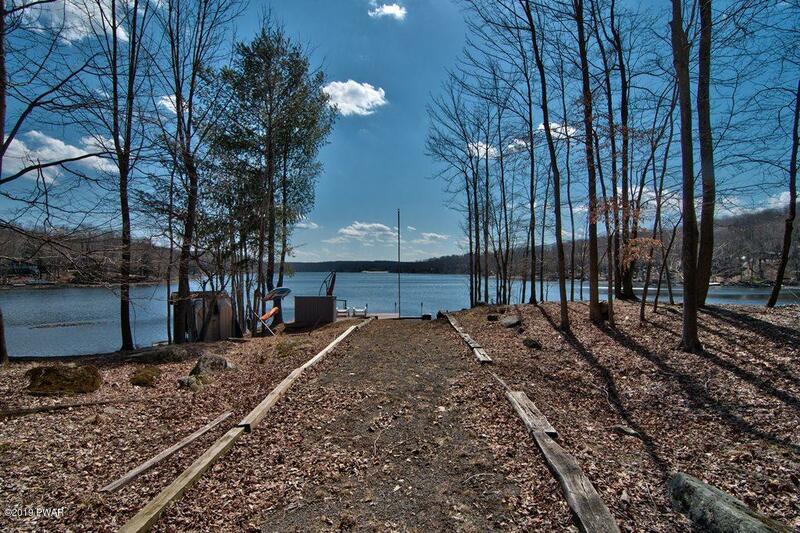 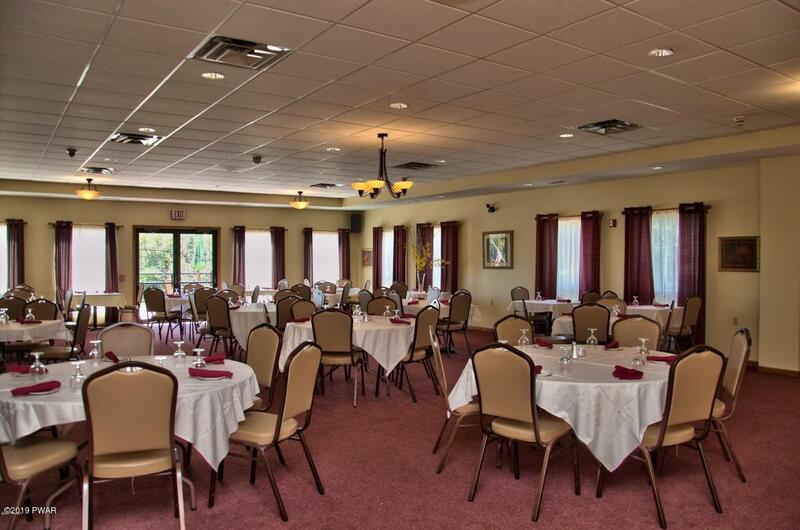 A newly graveled gently sloped path leads to the lake, the awesome lakeside patio area, boat dock and a jet ski dock. 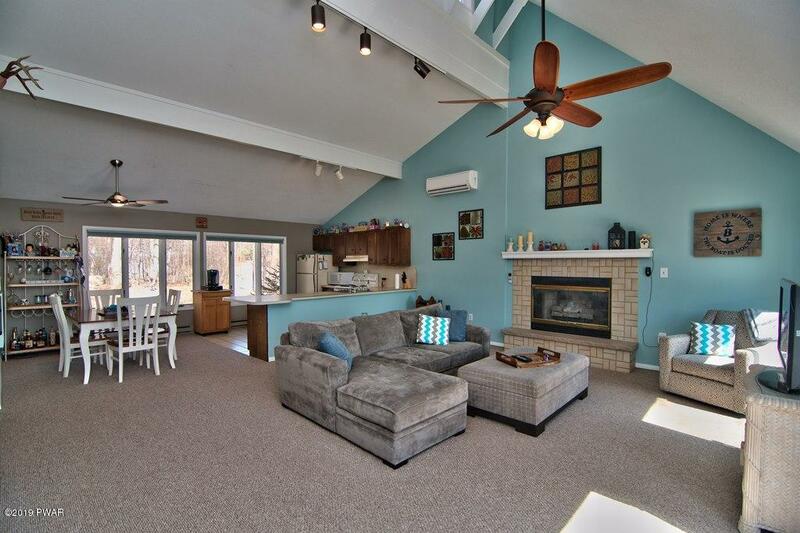 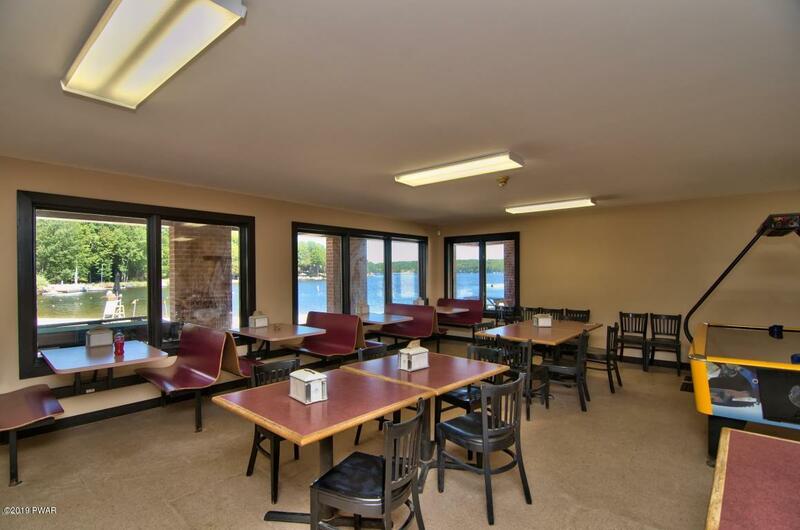 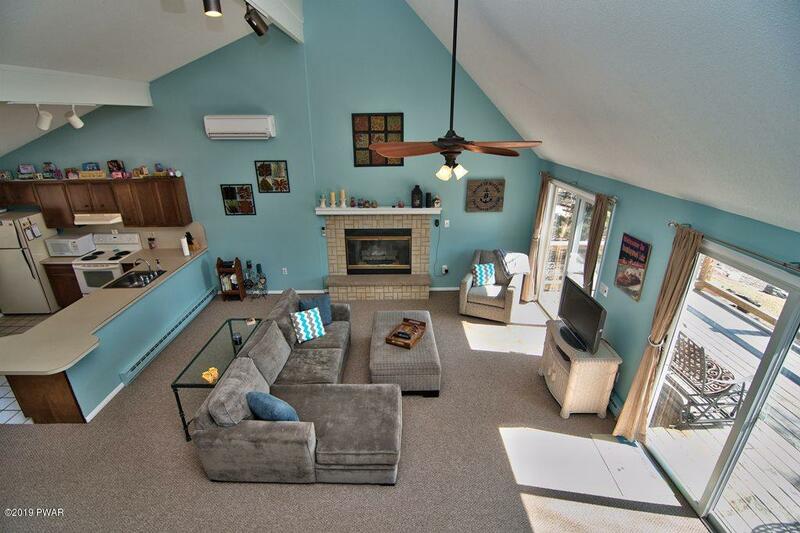 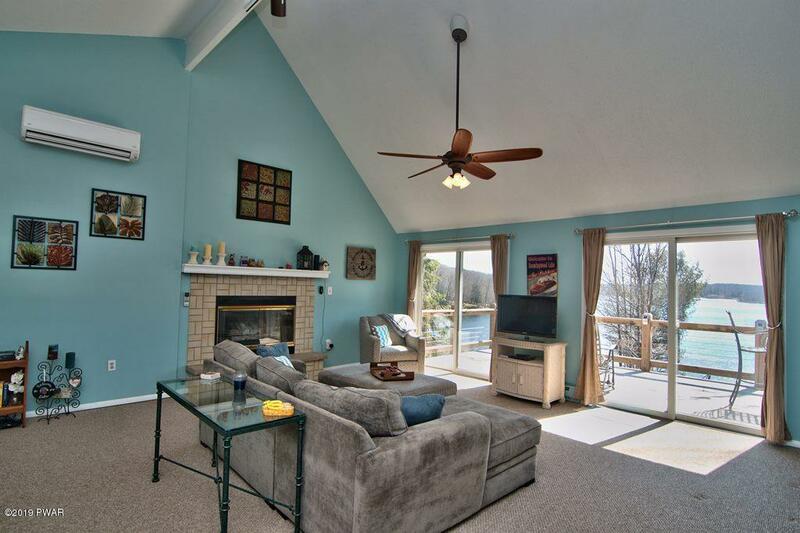 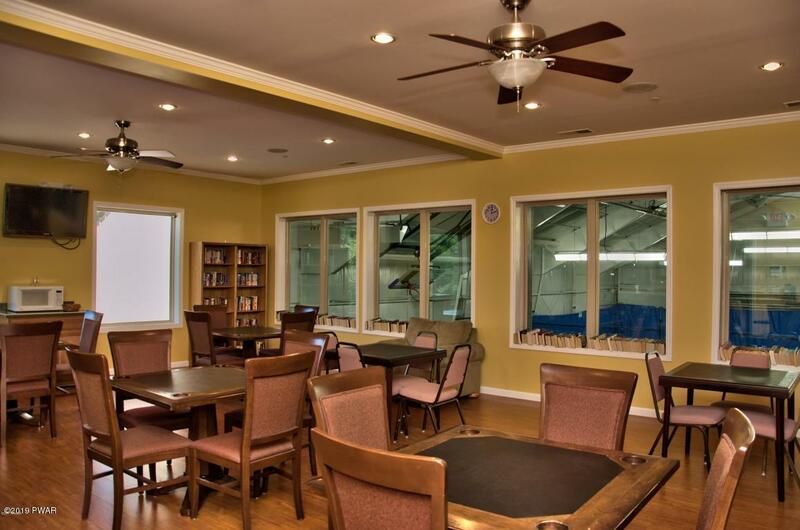 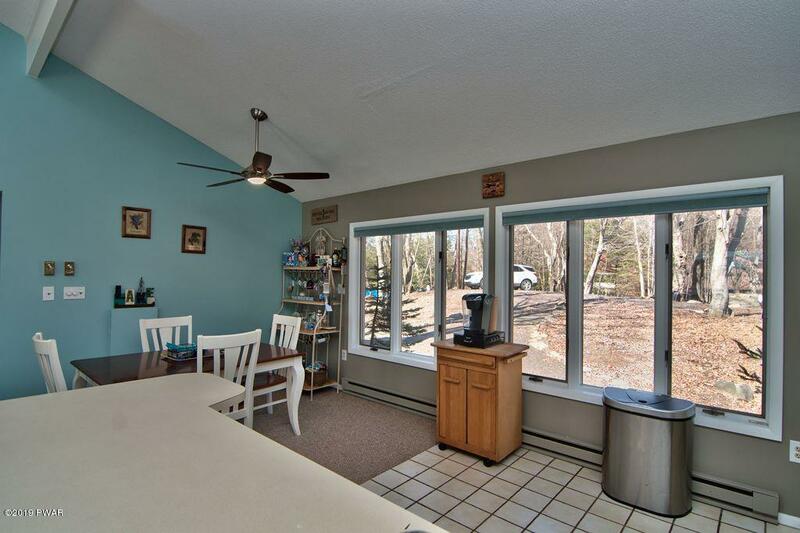 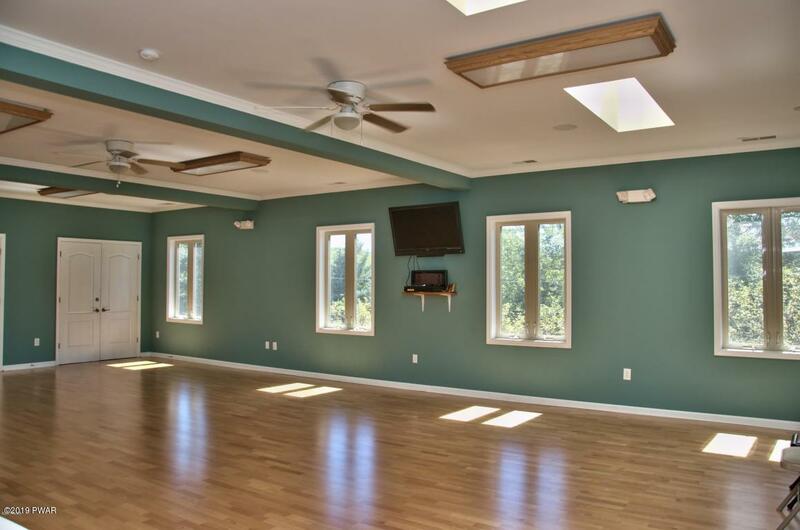 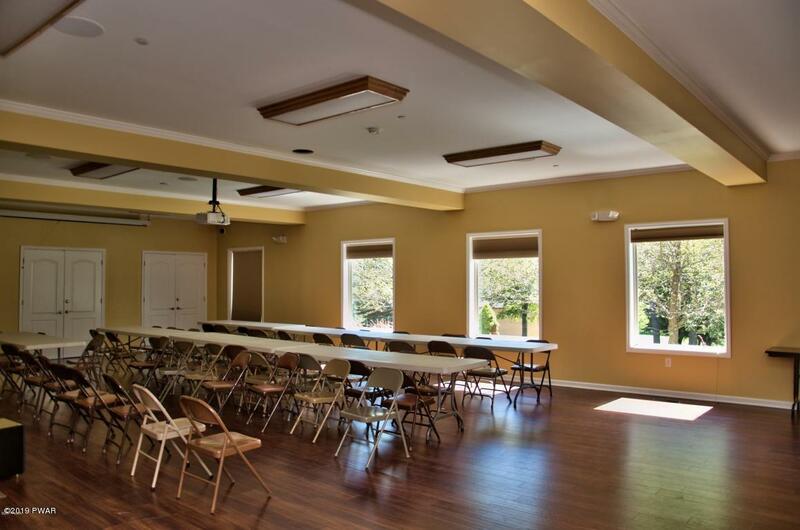 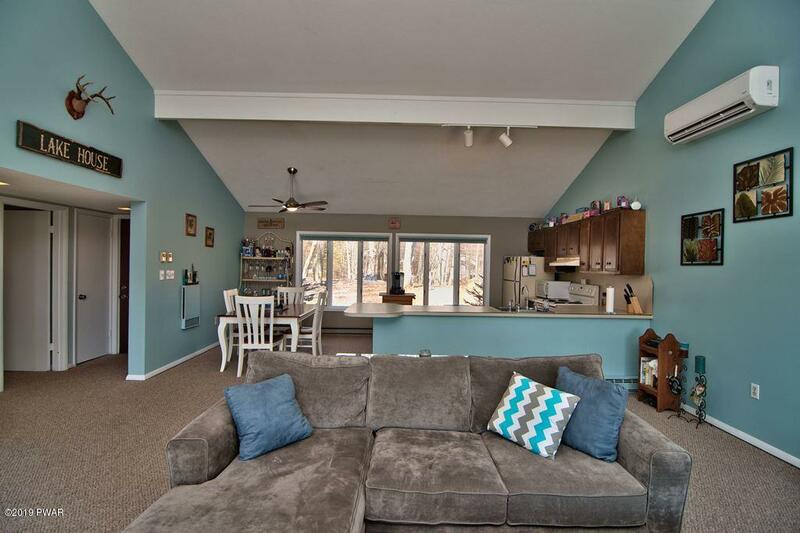 The large great room has vaulted ceilings, an open kitchen/dining/living room area with a propane fireplace and lots of windows, taking advantage of lake views. 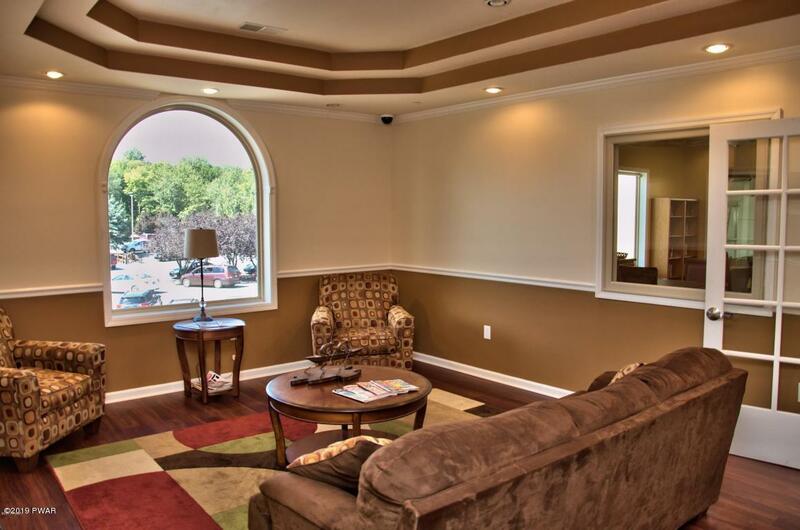 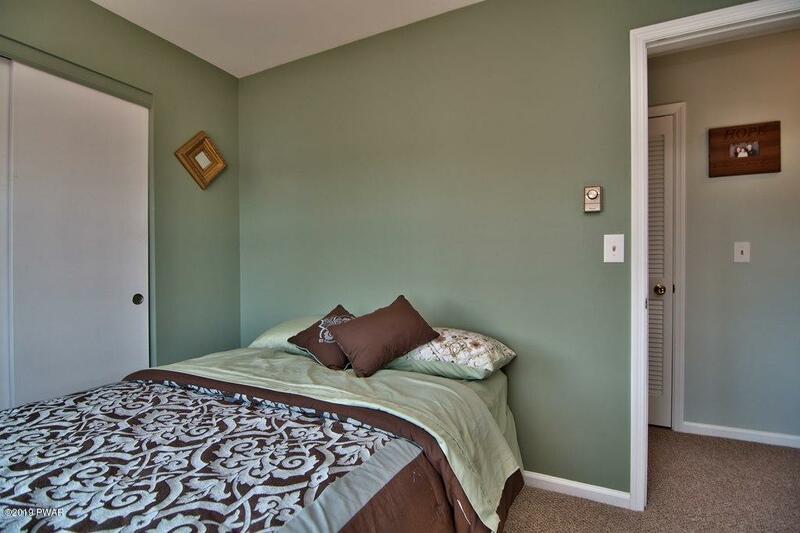 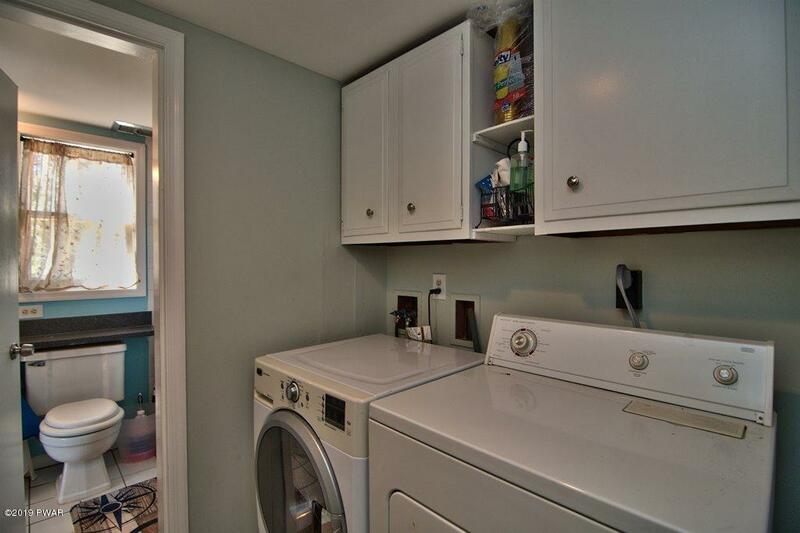 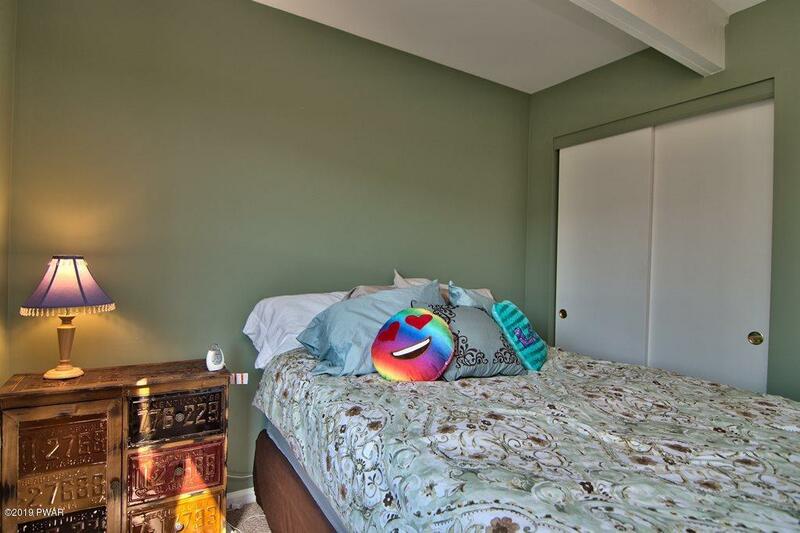 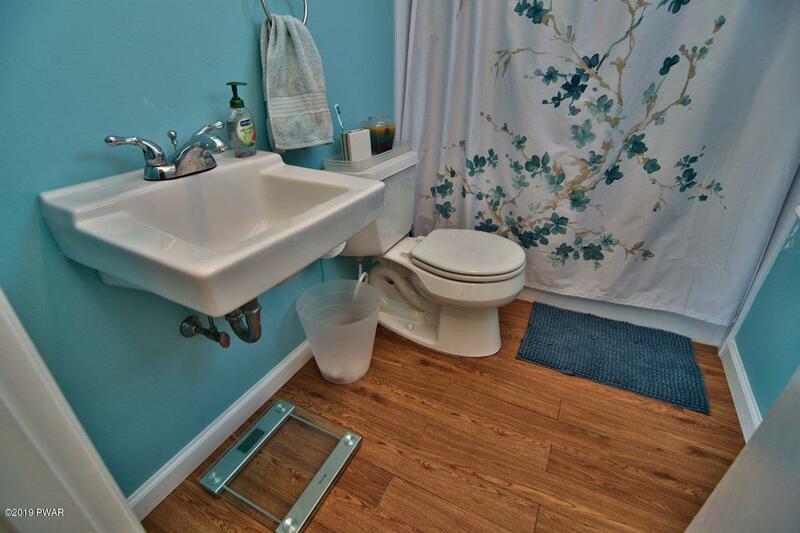 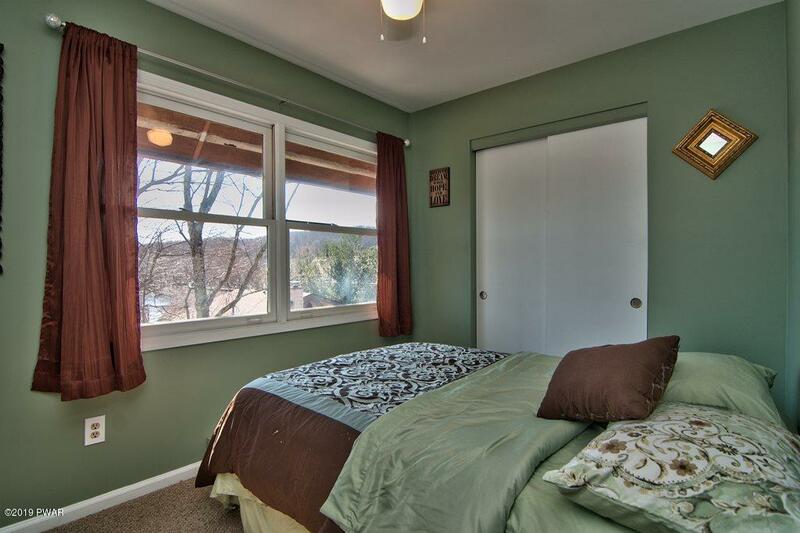 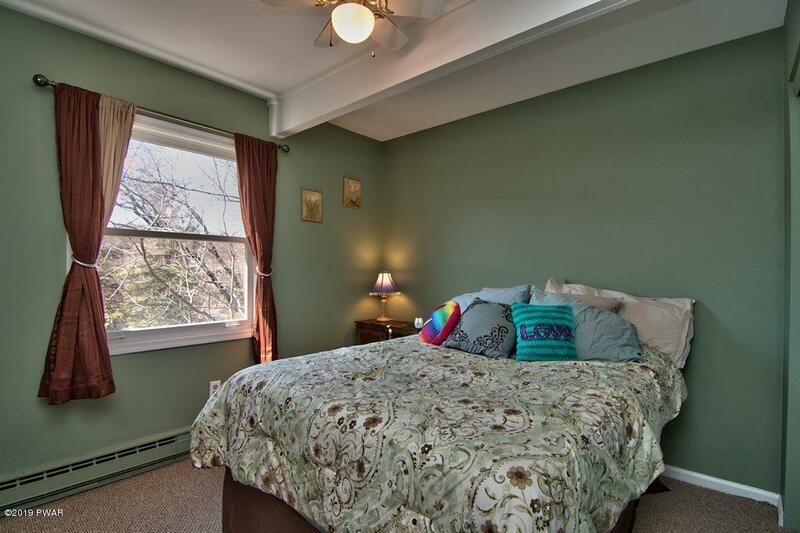 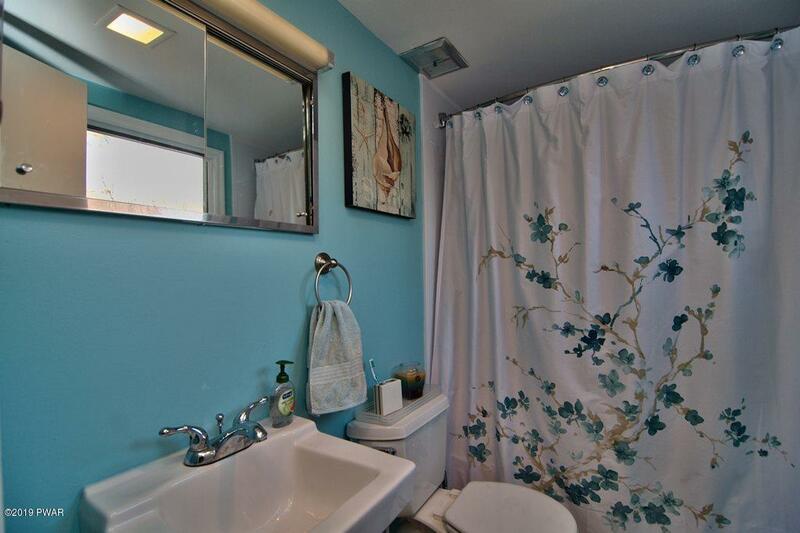 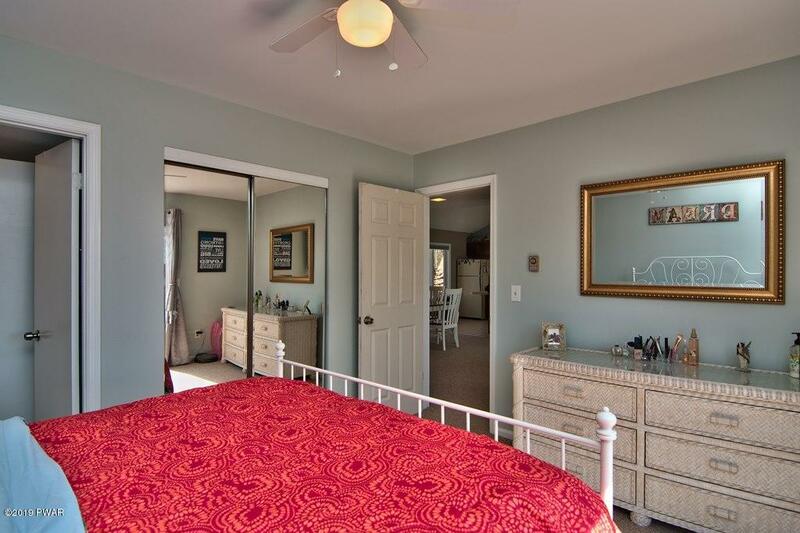 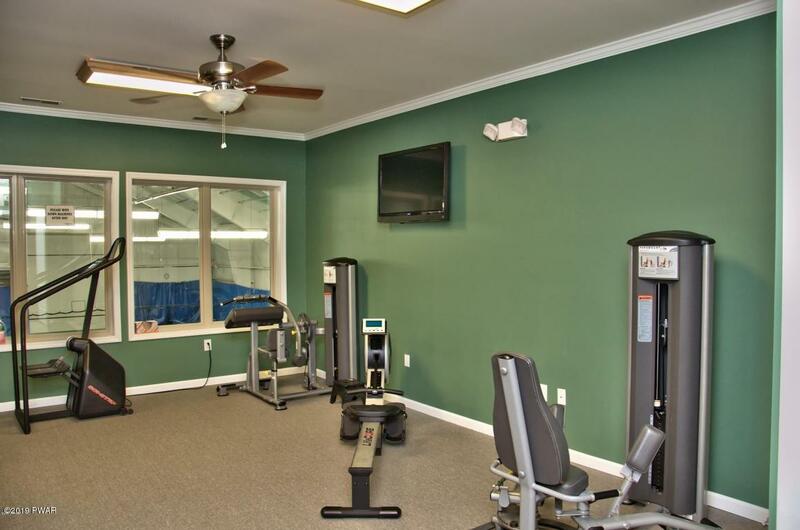 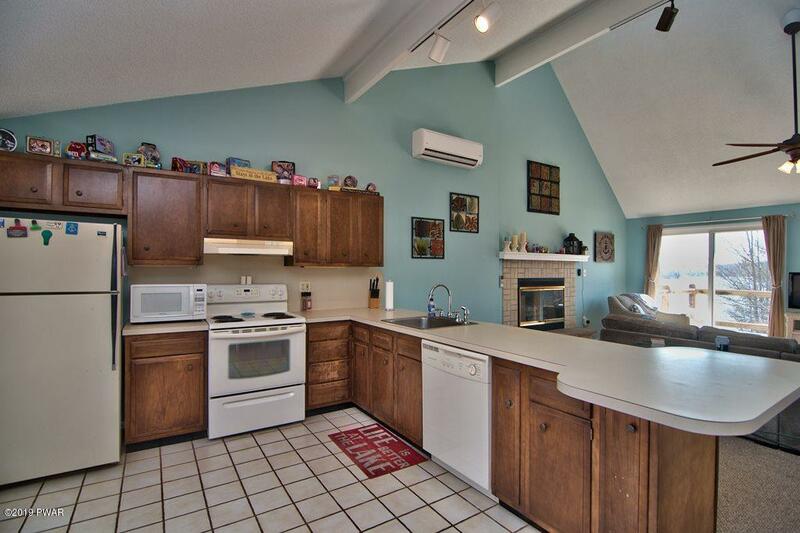 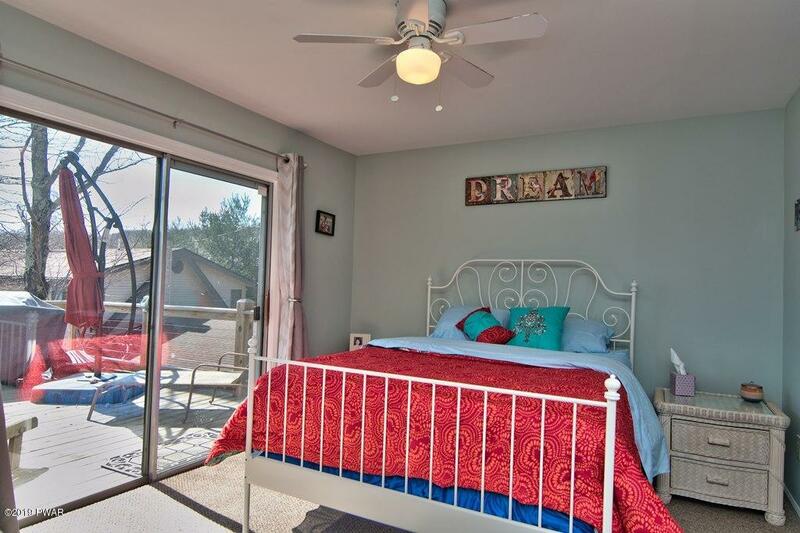 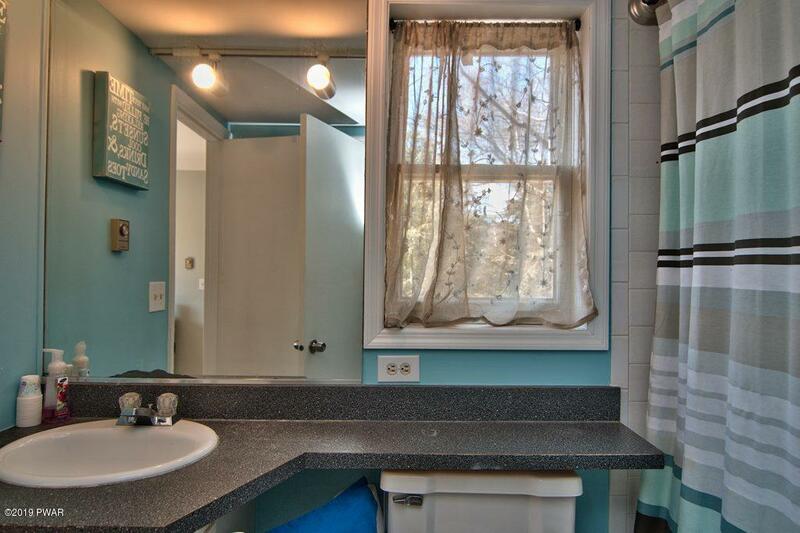 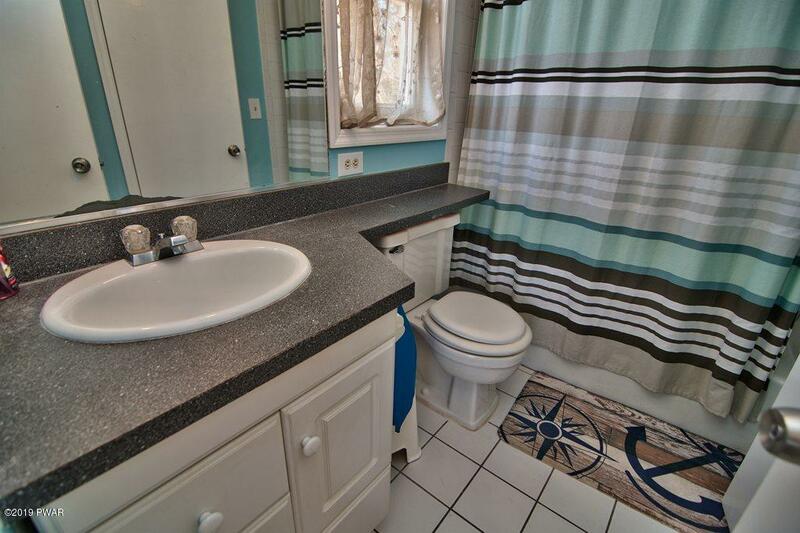 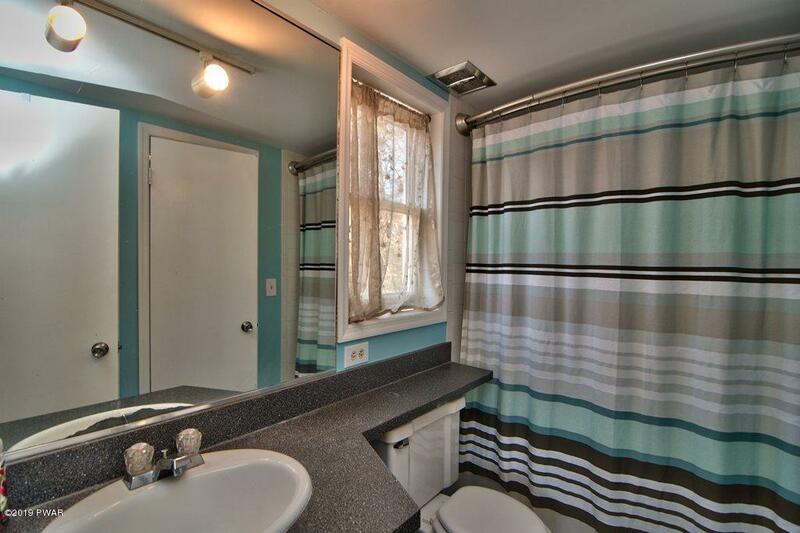 The master bedroom, full bath and laundry room are on the main level. 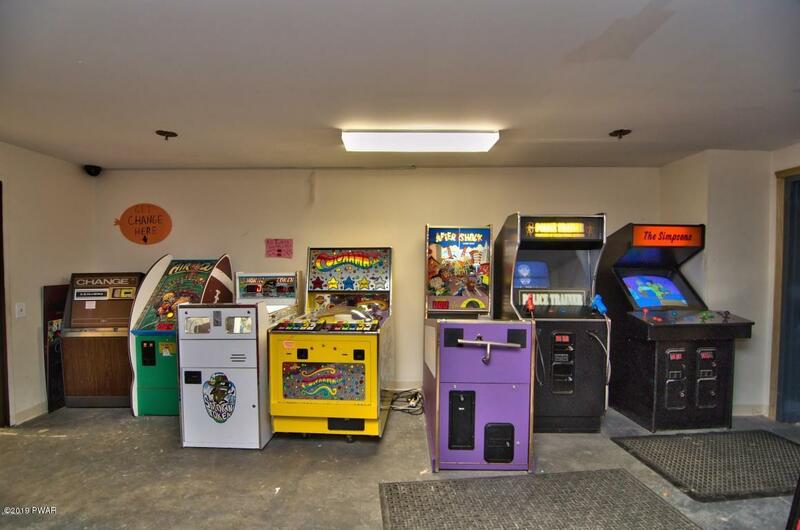 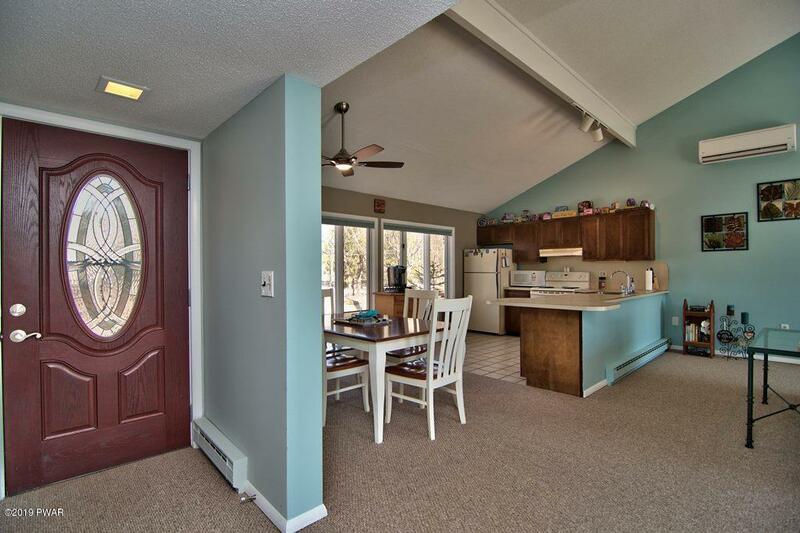 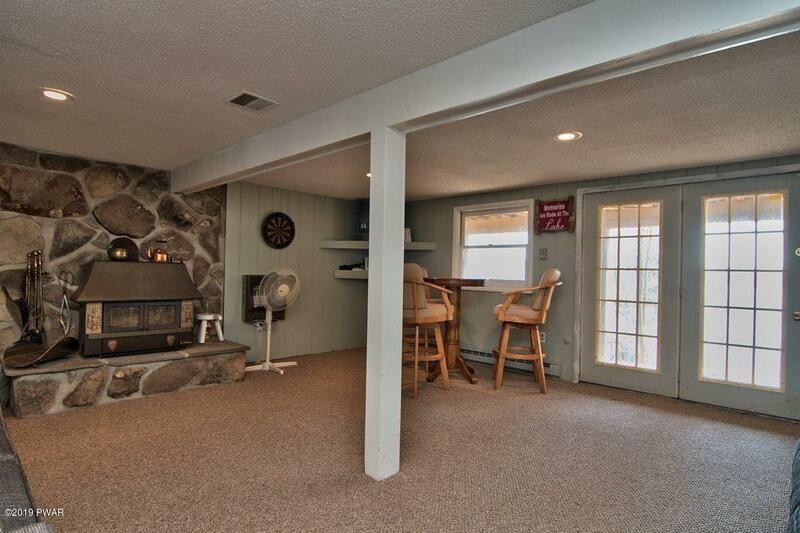 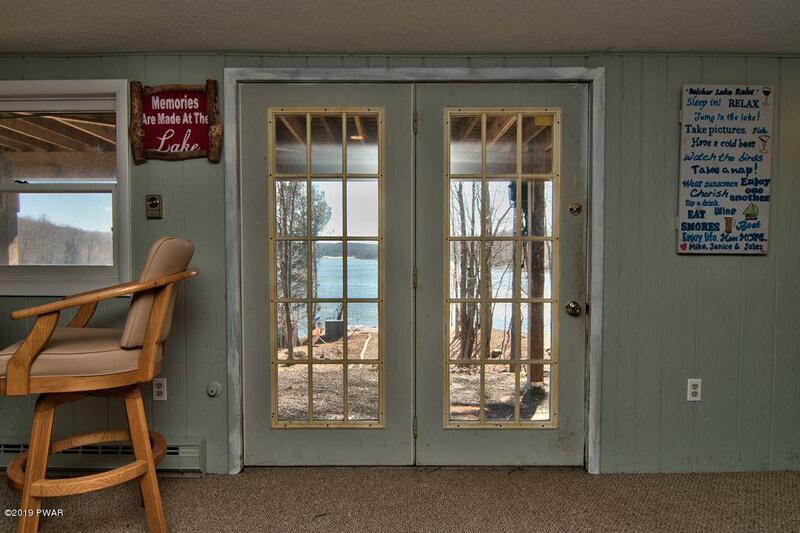 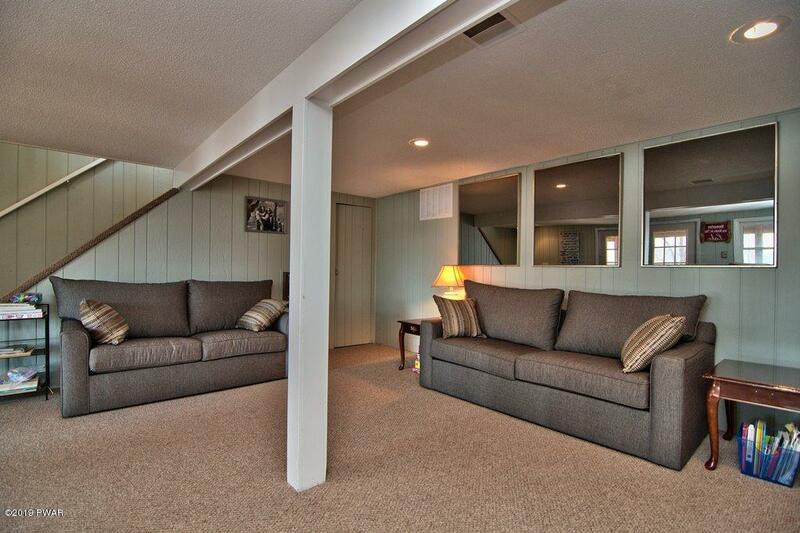 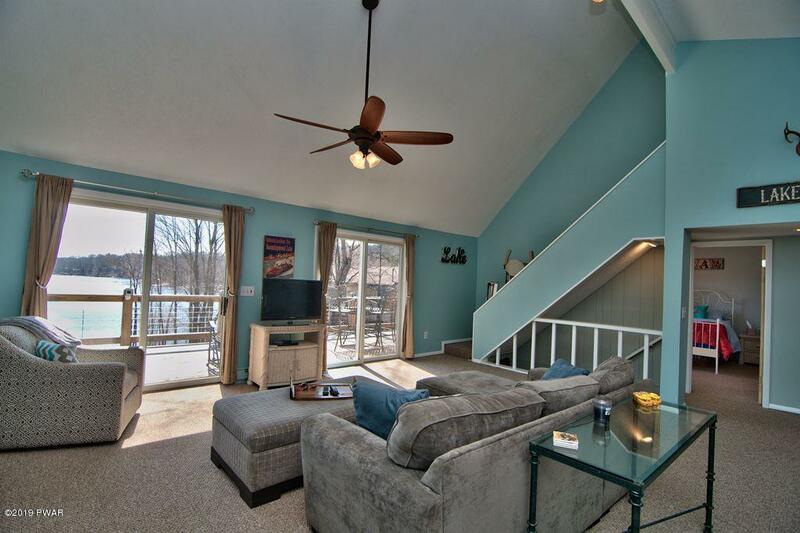 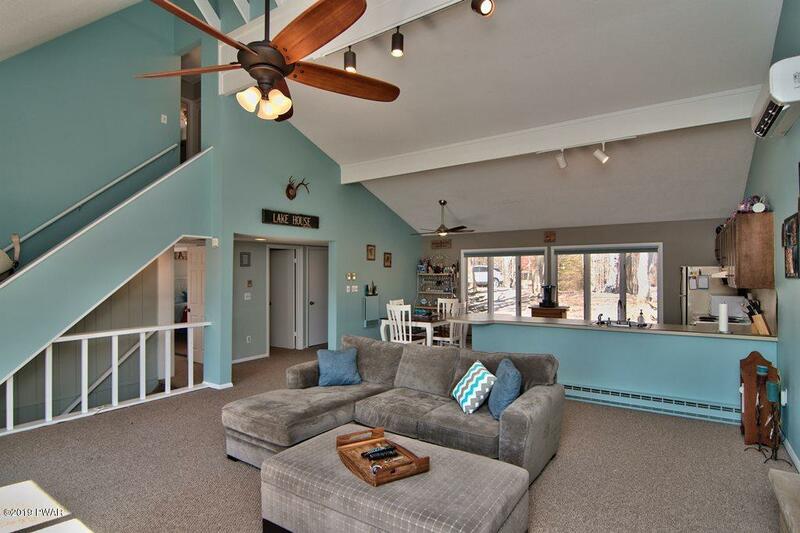 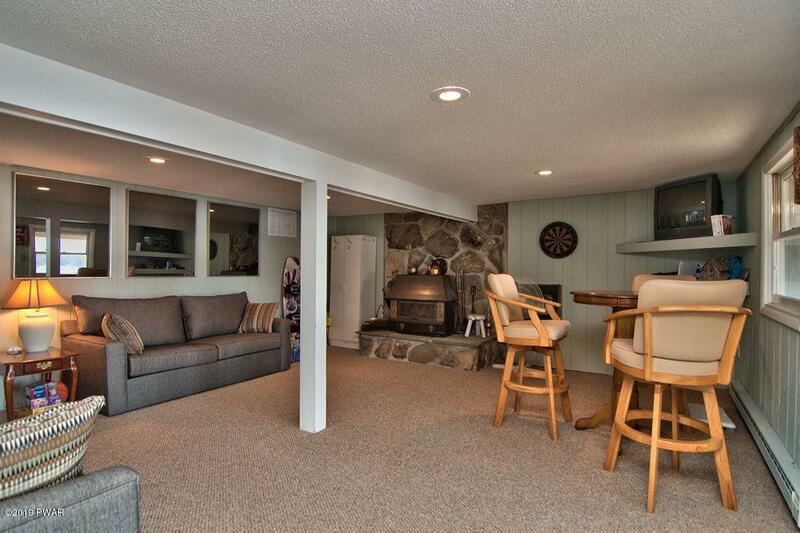 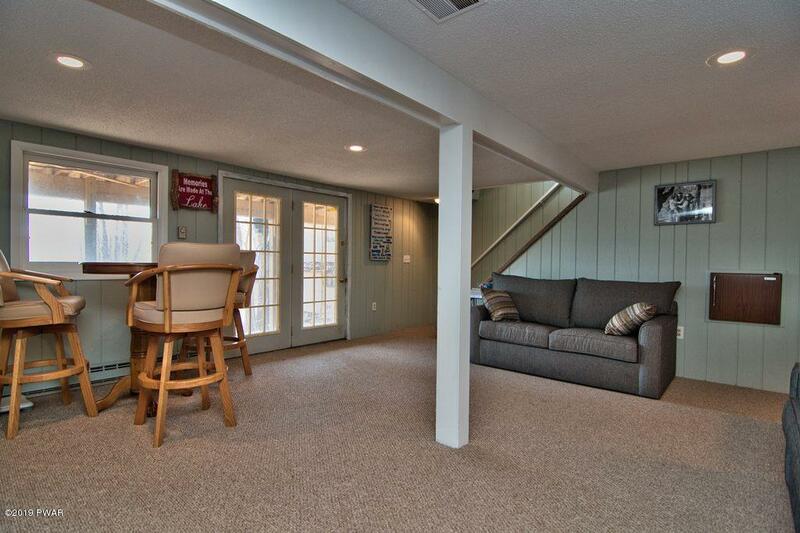 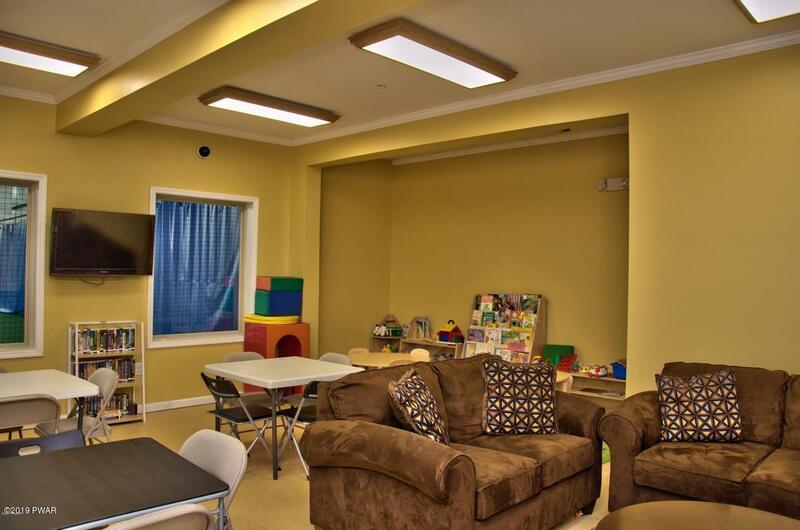 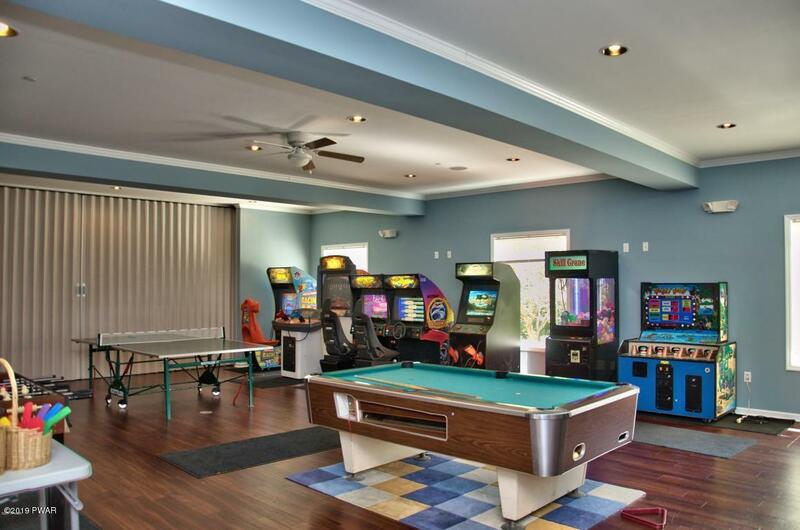 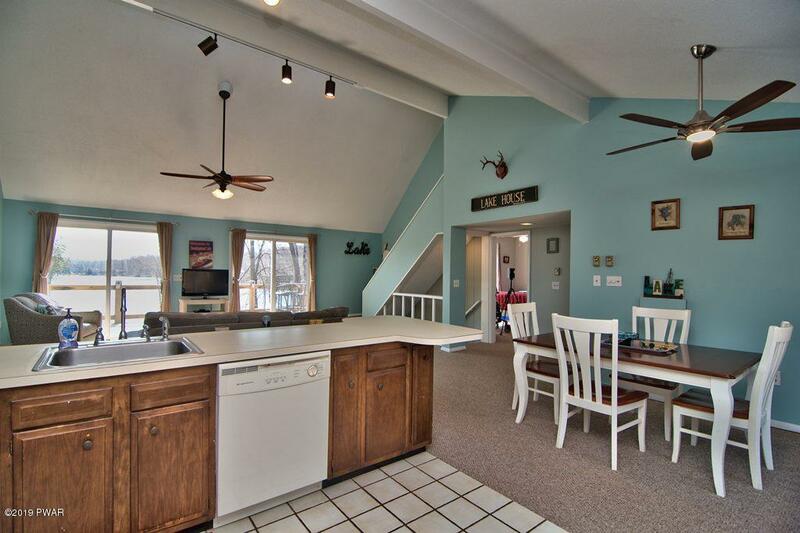 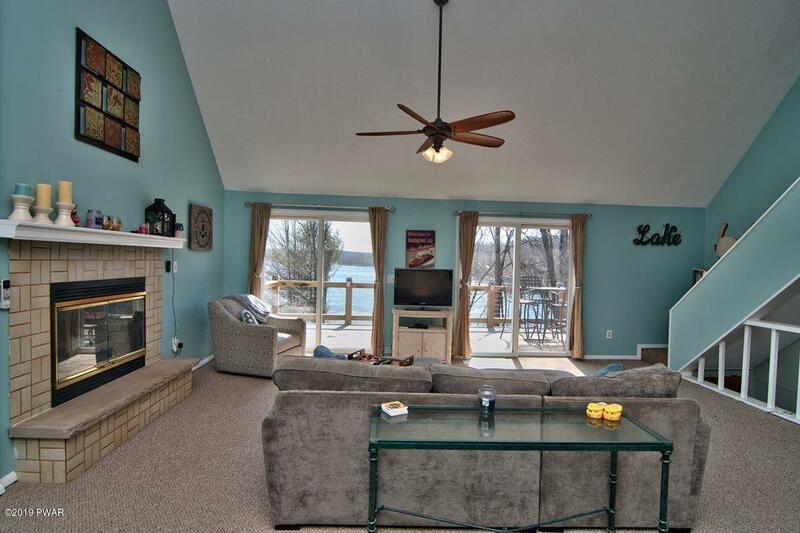 The finished lower level includes a family room, walk out access right to the lake and storage for your lake toys. 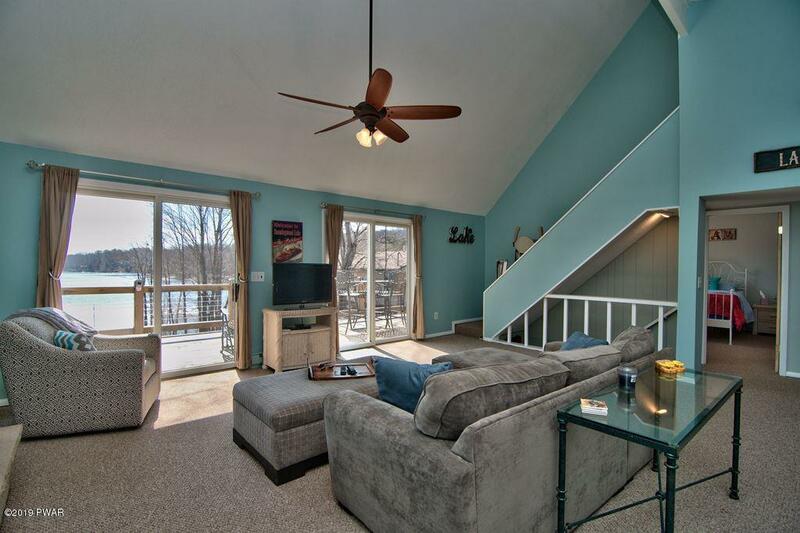 There's also a finished attic for additional space. 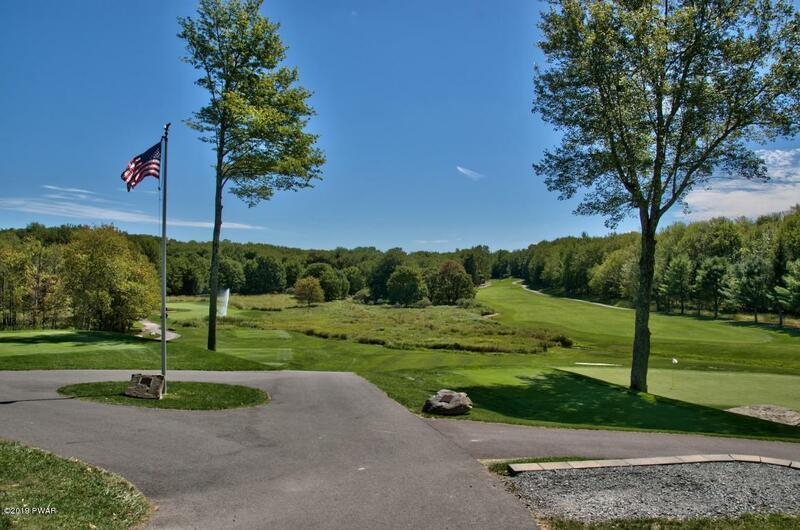 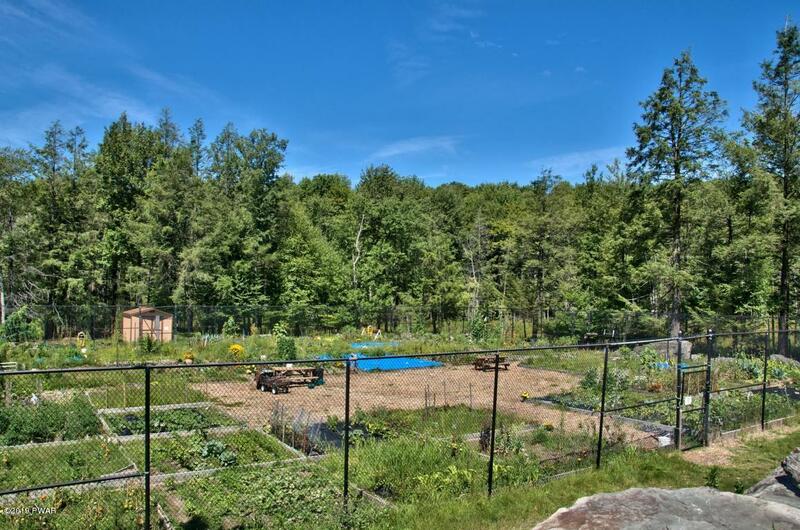 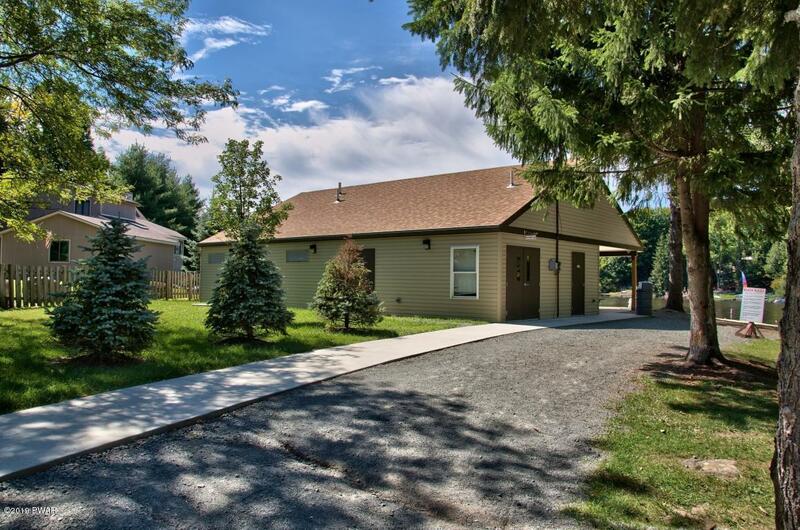 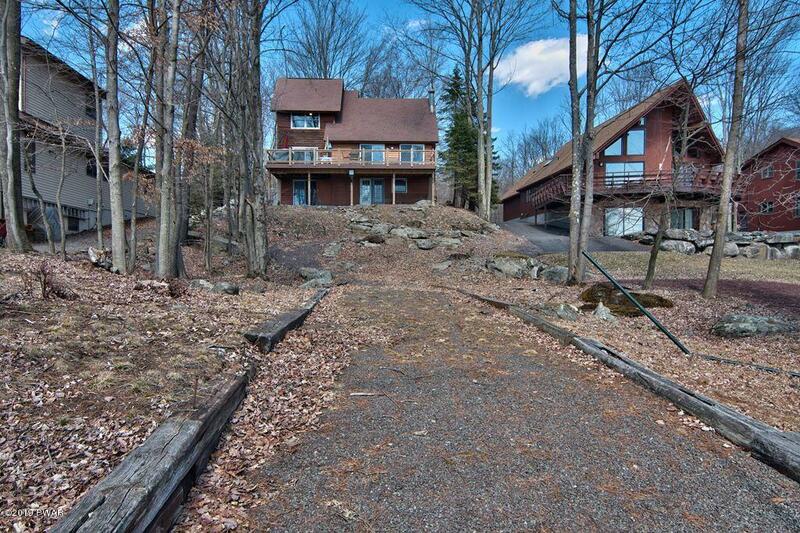 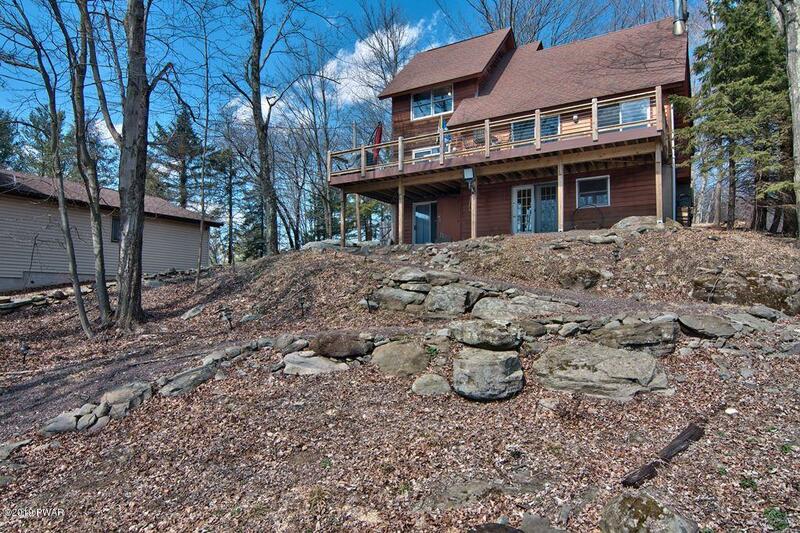 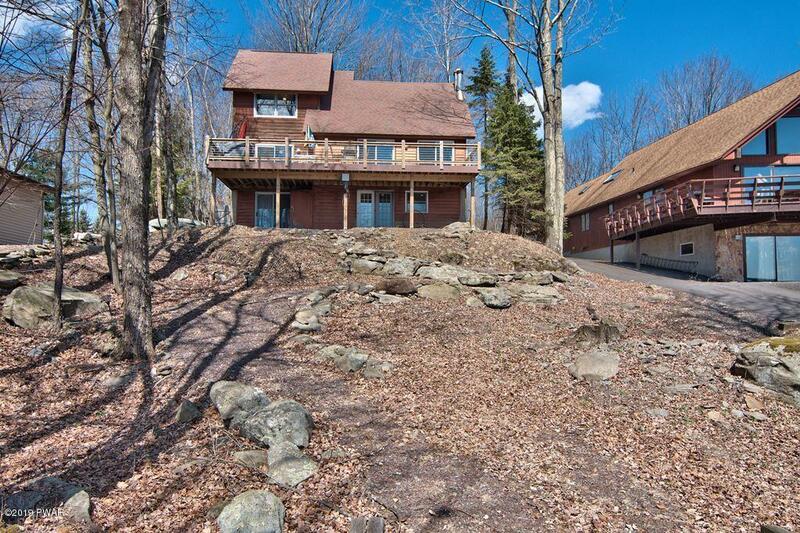 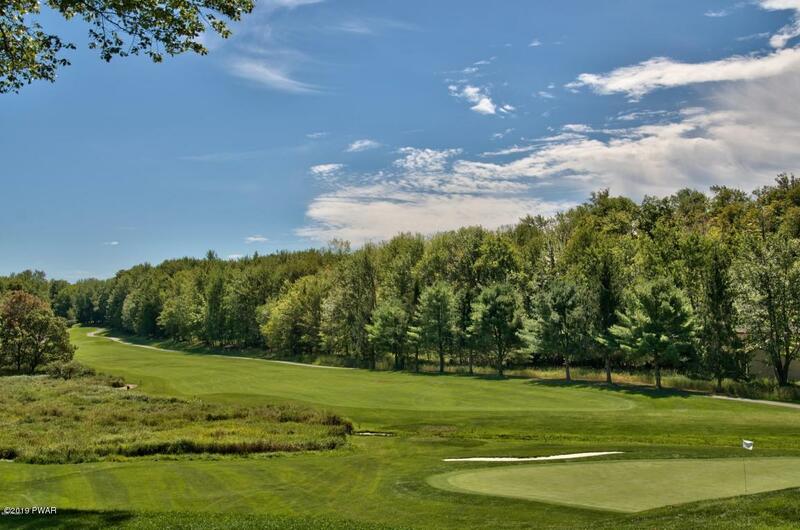 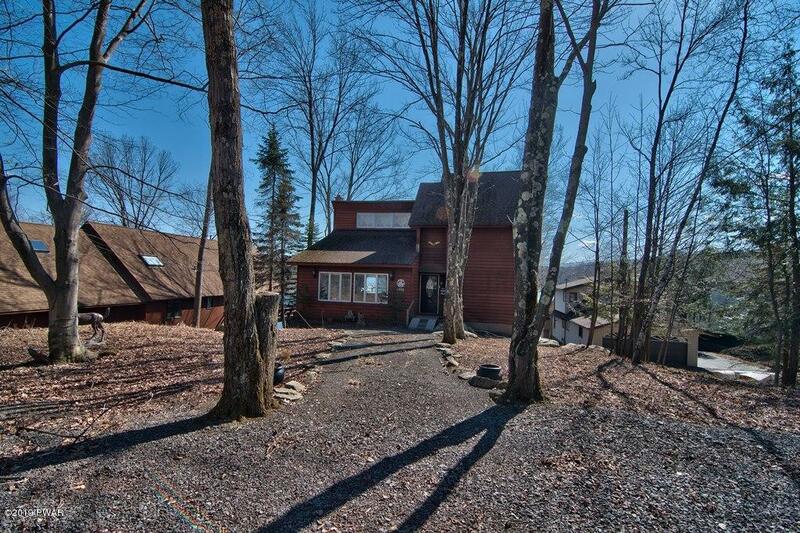 The setting beautiful home is a private wooded lot offering privacy and the best view of the lake. 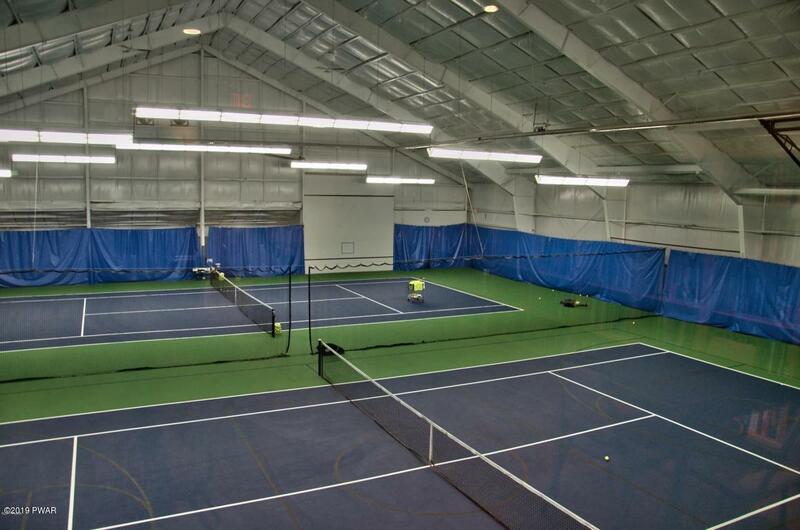 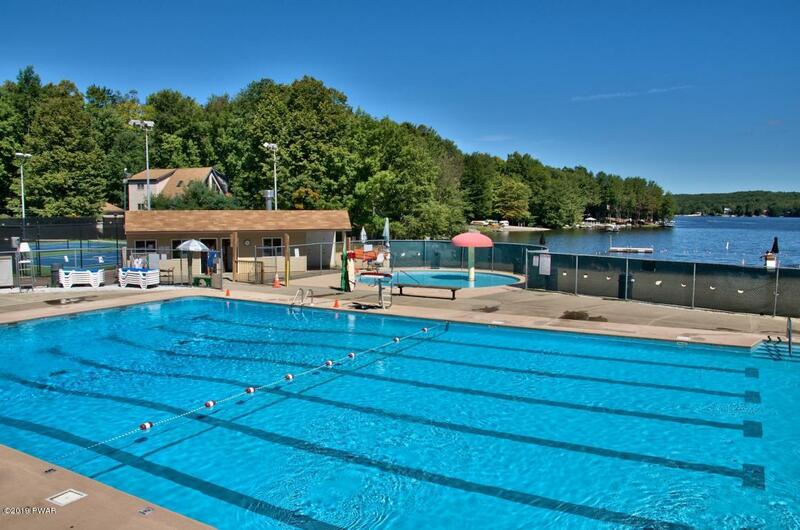 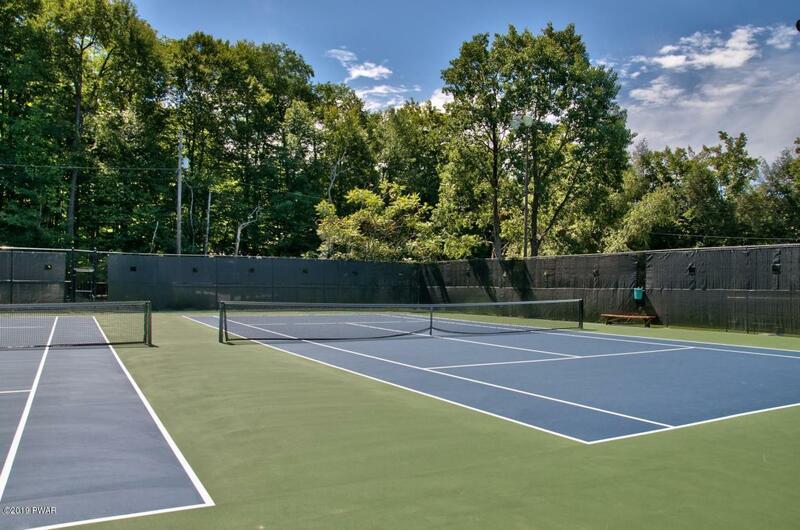 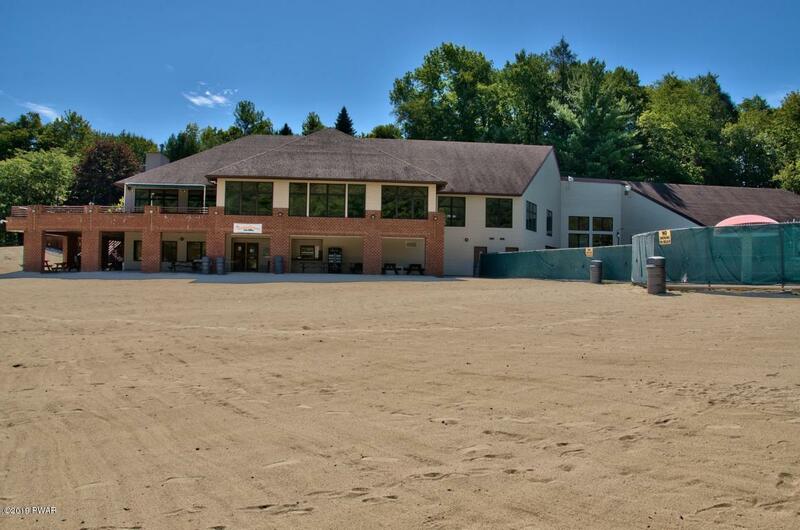 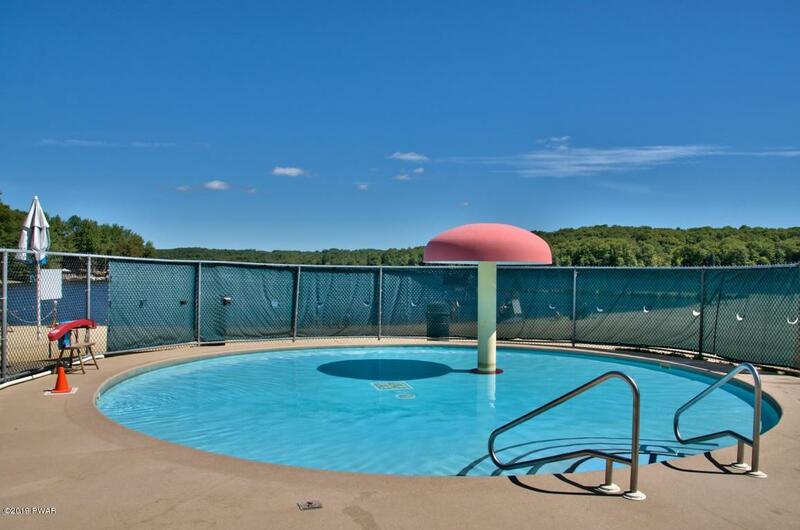 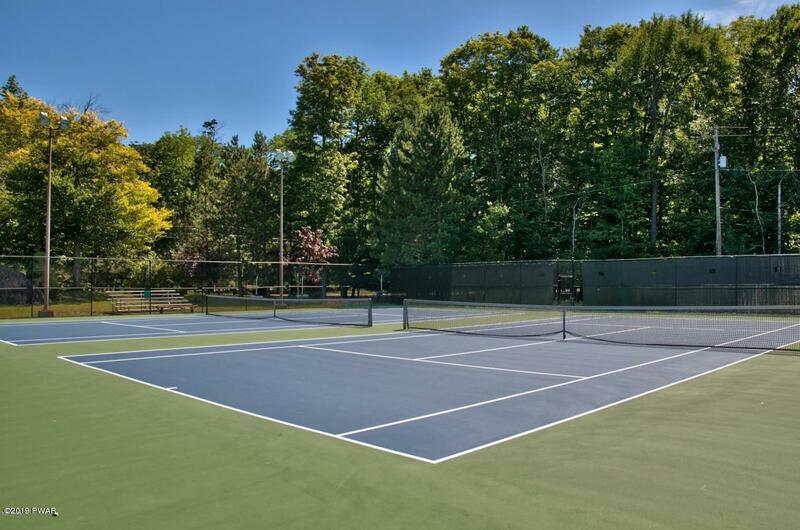 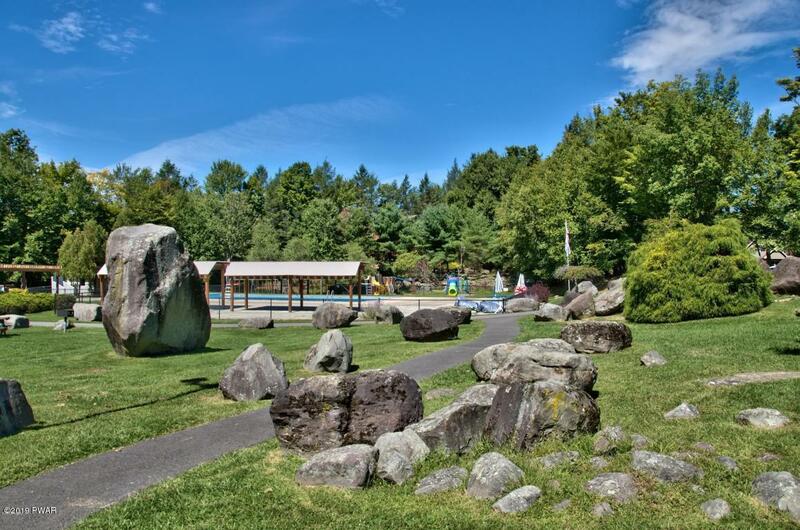 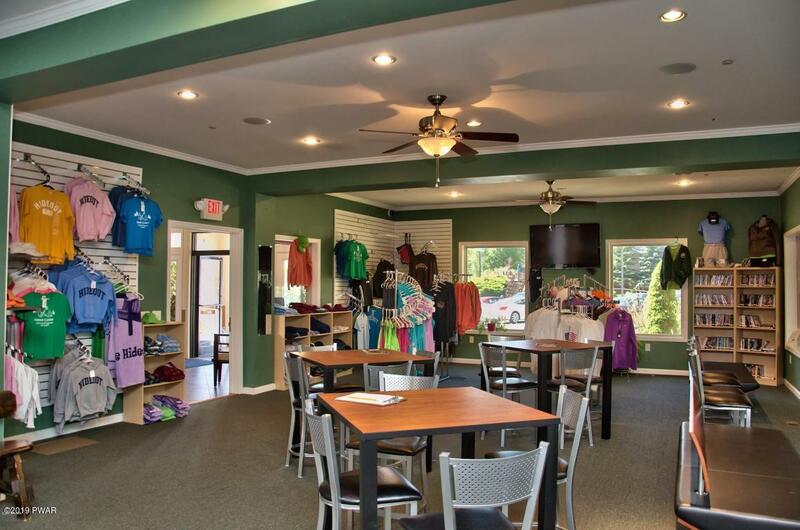 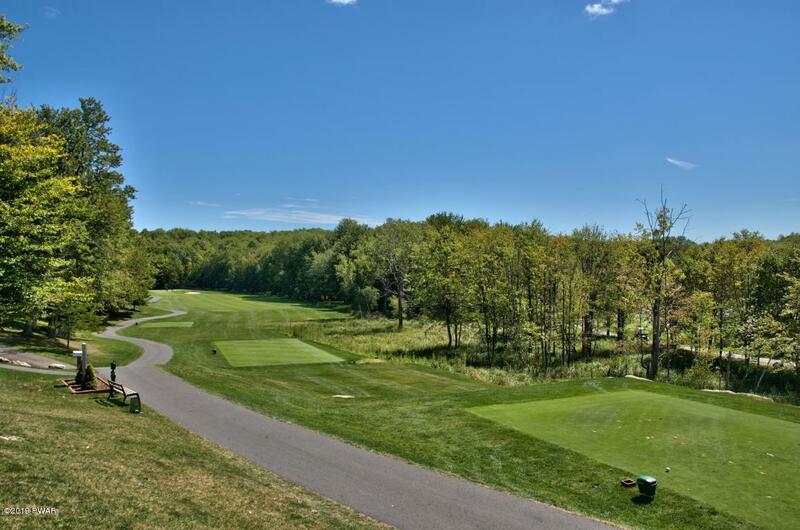 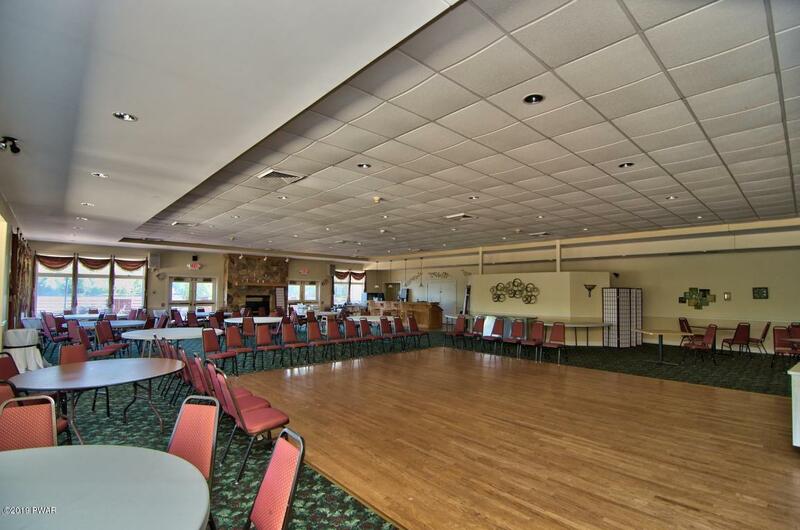 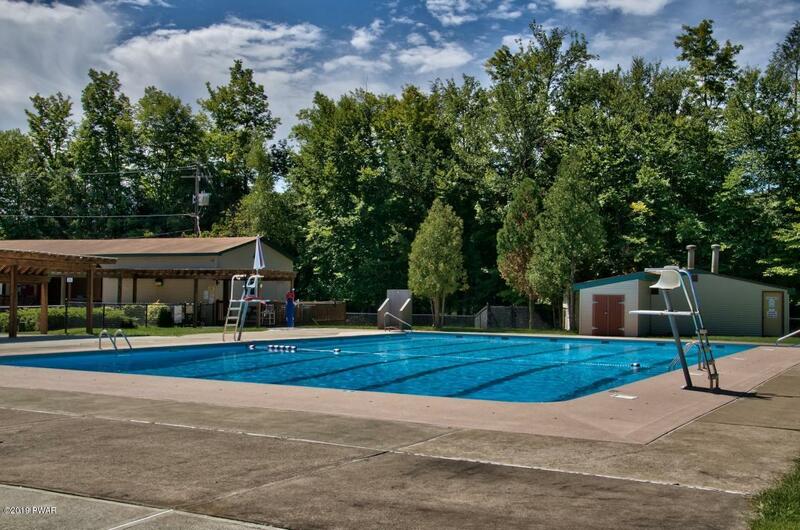 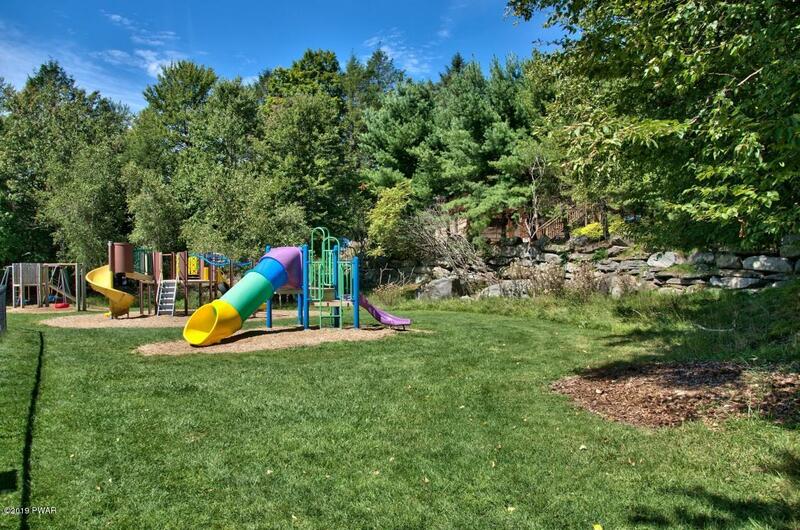 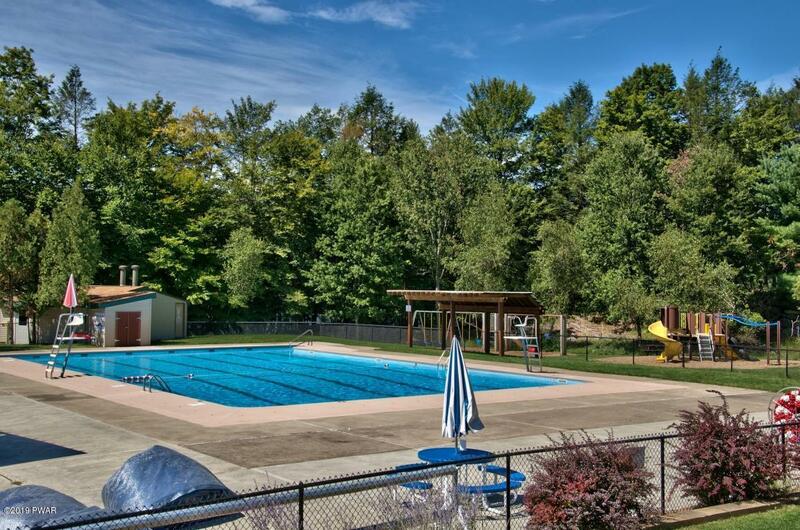 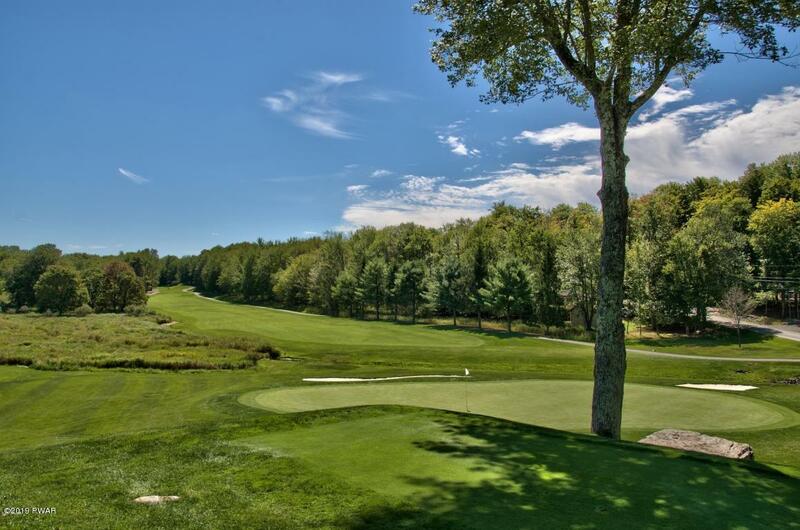 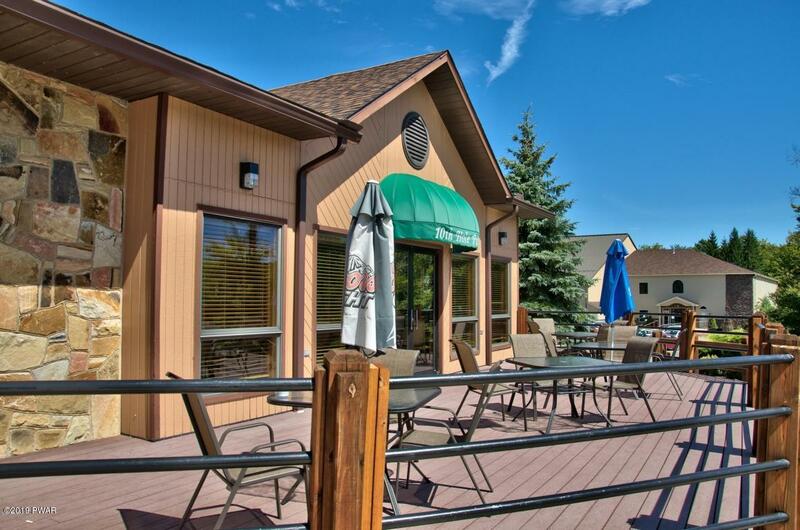 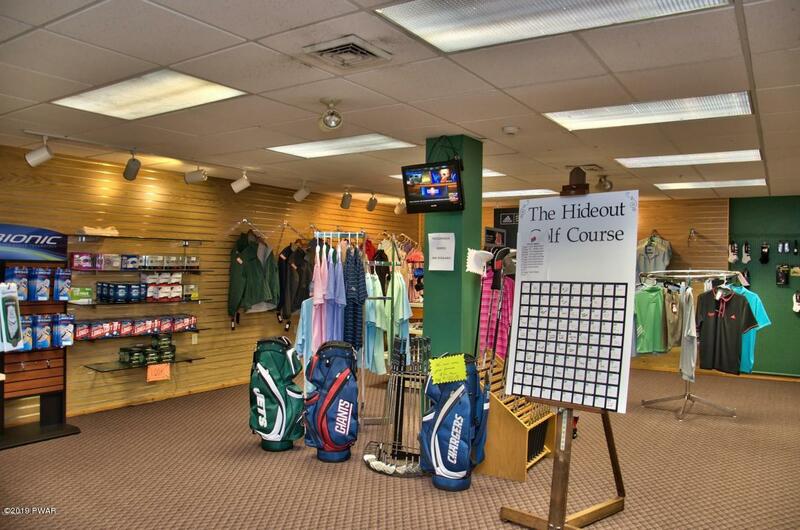 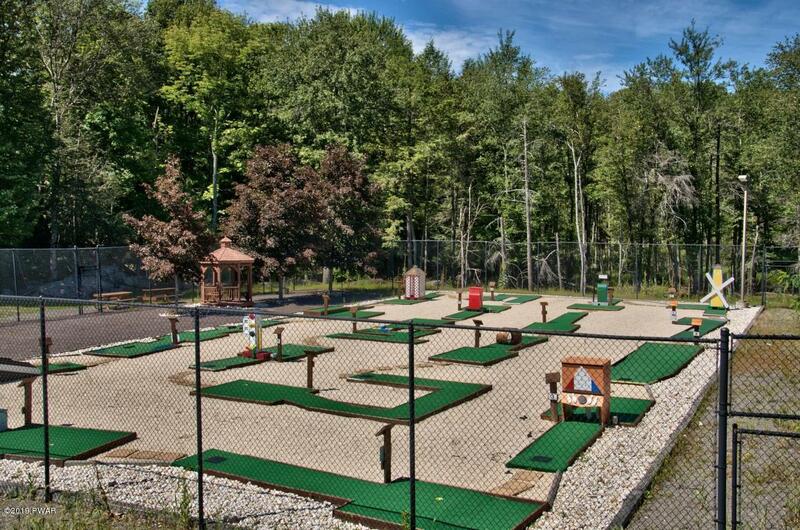 The amenities include lakes, beaches, pools, clubhouse with restaurant and pub, golf course, ski hill, tennis, indoor recreation complex with tennis/fitness center/arcade and more, basketball courts, ball fields, children's playground, miniature golf, walking trails, arts and crafts, a great recreation program including day camp for kids, campground, 24 hour security, gated access, must have an appointment with an agent to tour the community.